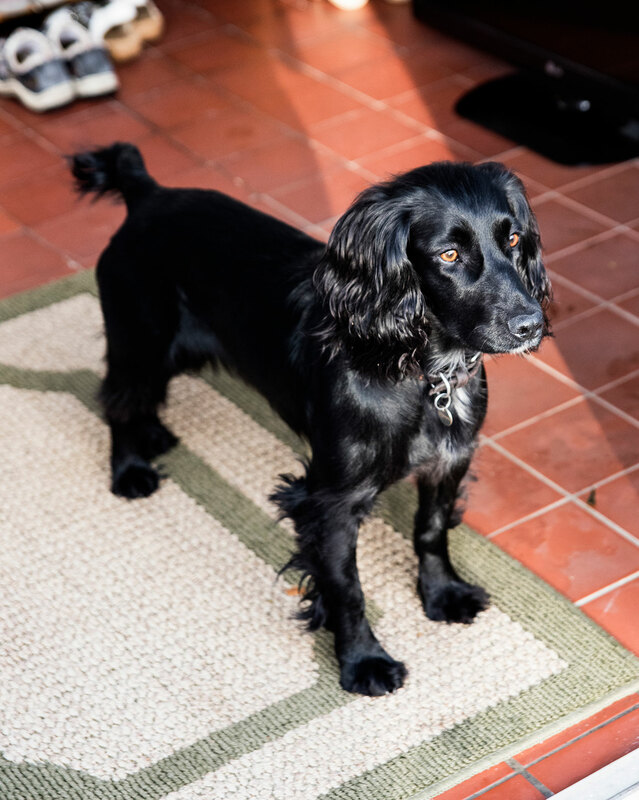 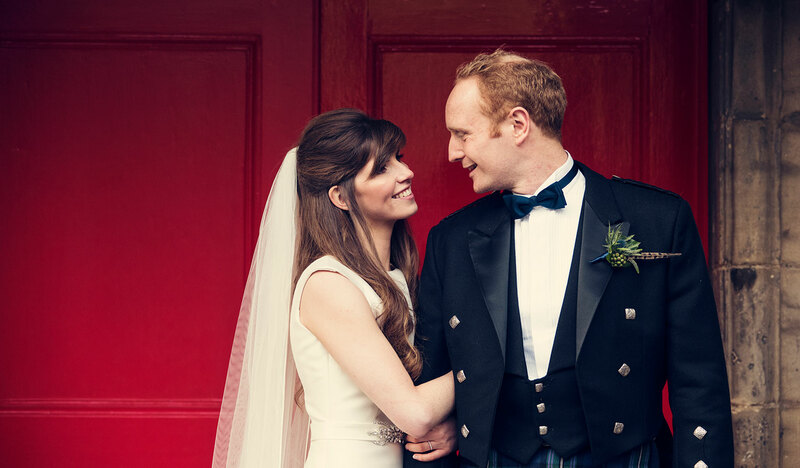 Sarah-Kate and James both love the outdoors, horses, hunting, their gorgeous dog "Socks", and all these elements were somehow part of their wedding day. 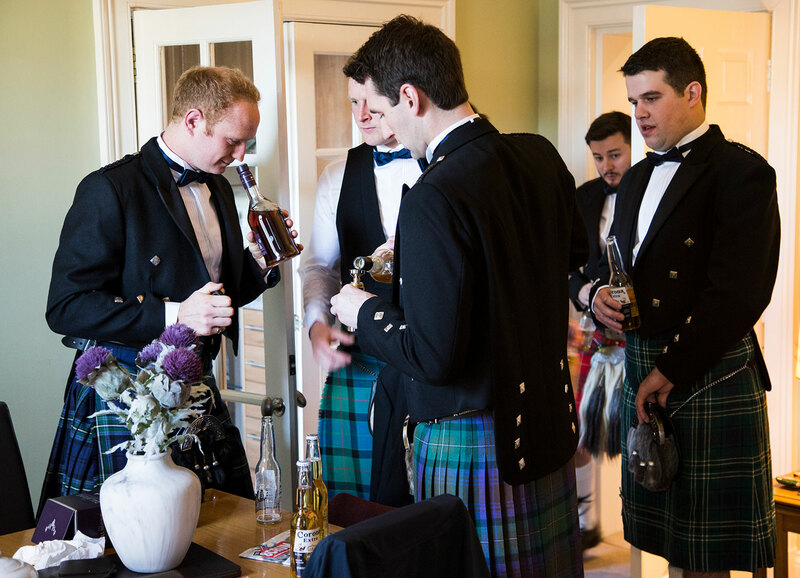 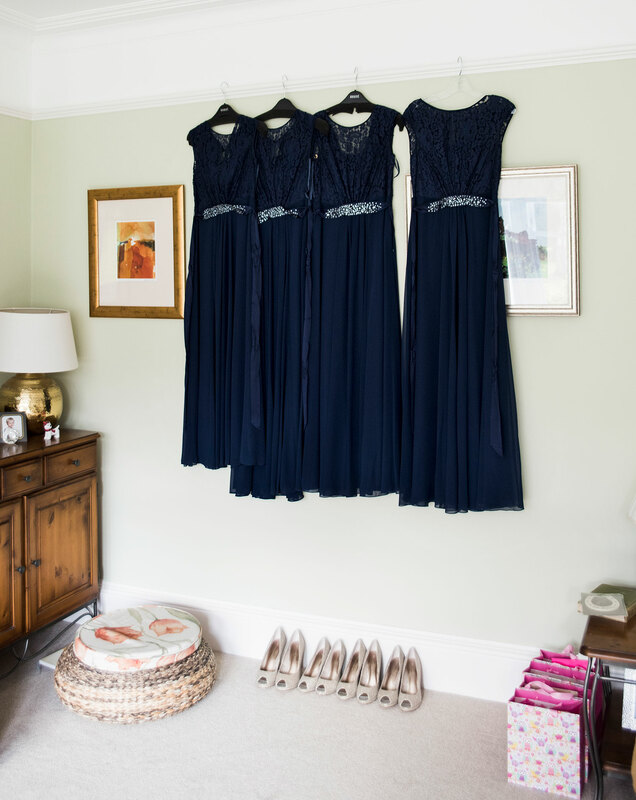 Sarah-Kate and the girls got ready at the bride's parents' house in Edinburgh, and James and guys got ready at an apartment in town. 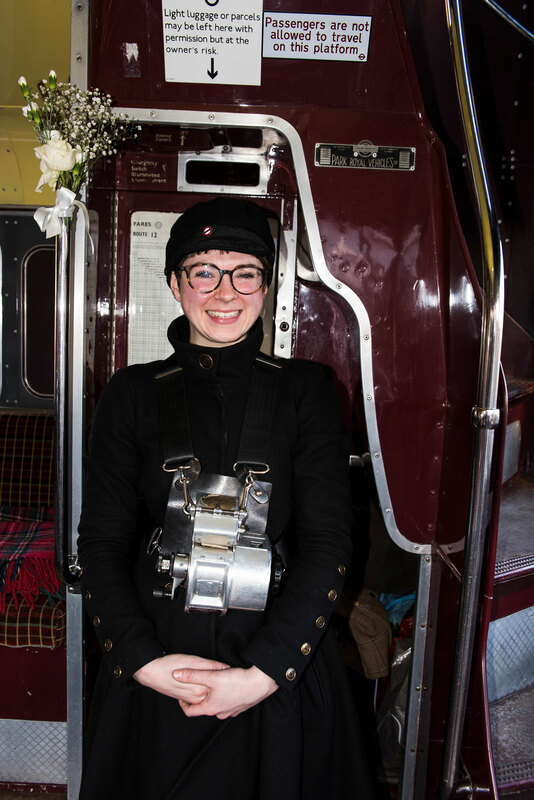 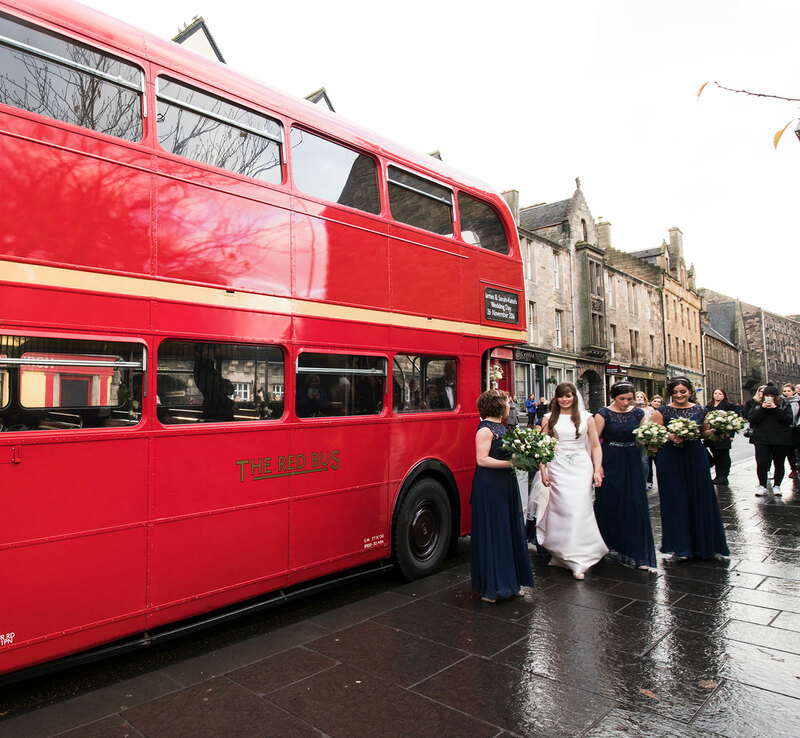 Sarah-Kate was picked up by the Red Wedding Bus, and she made quite an entrance when arriving at the Royal Mile's Canongate Church. 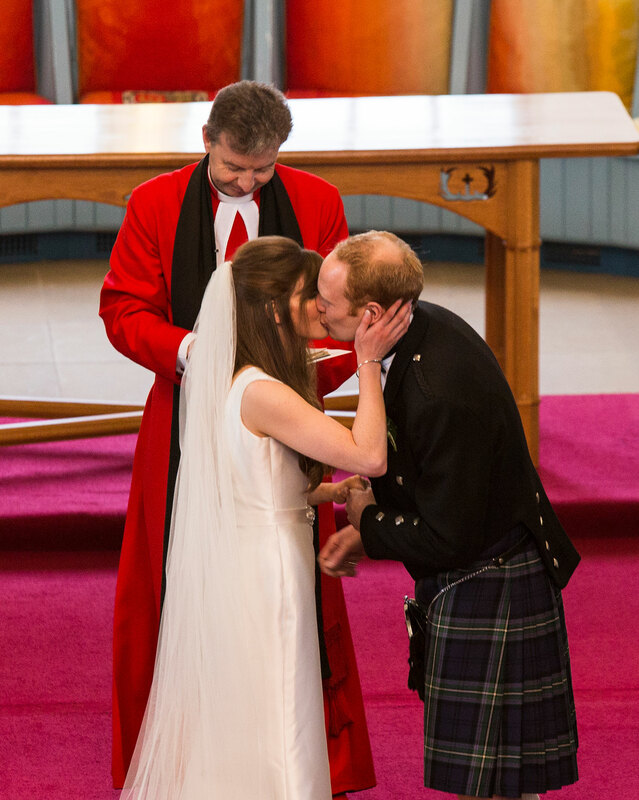 The tourists enjoyed it too!! 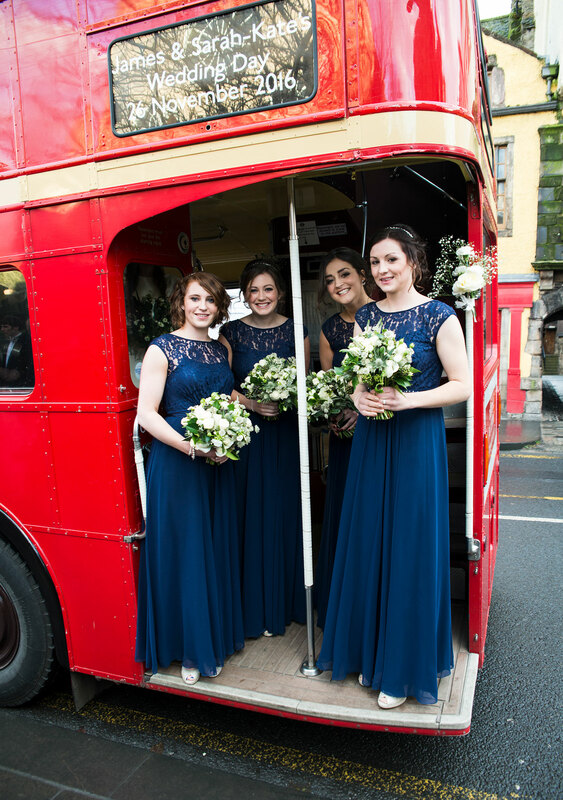 Mo was already at the church and took photos of the bus arriving, while I was getting photos of the girls giggling on the bus journey. 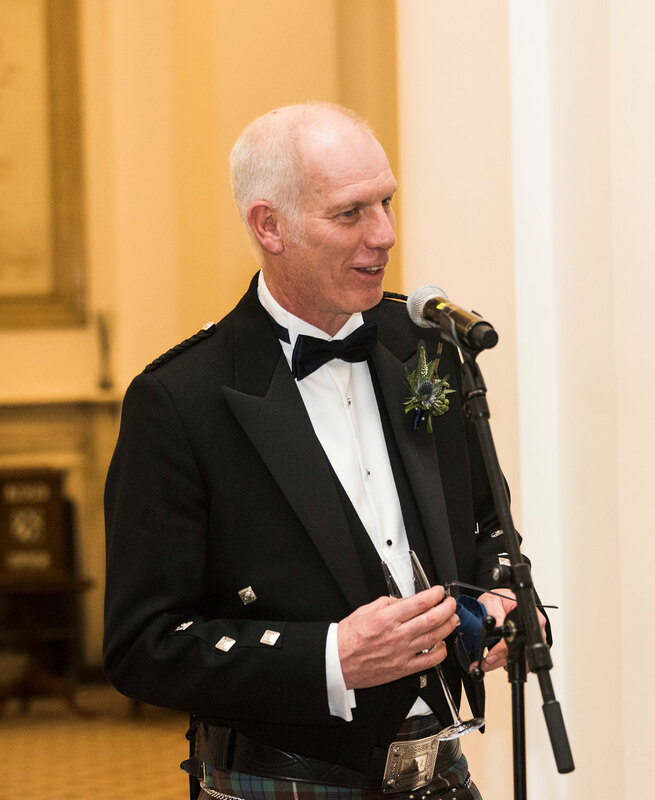 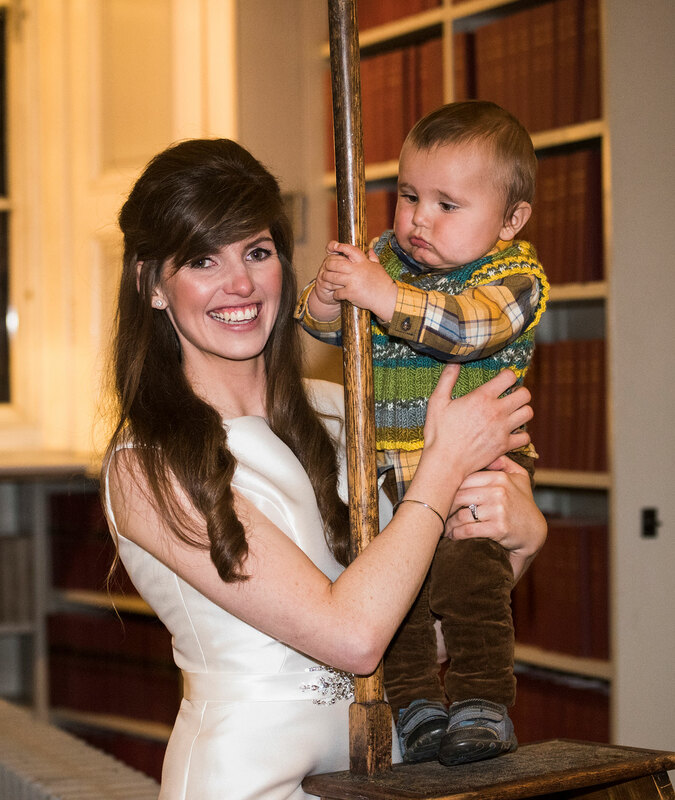 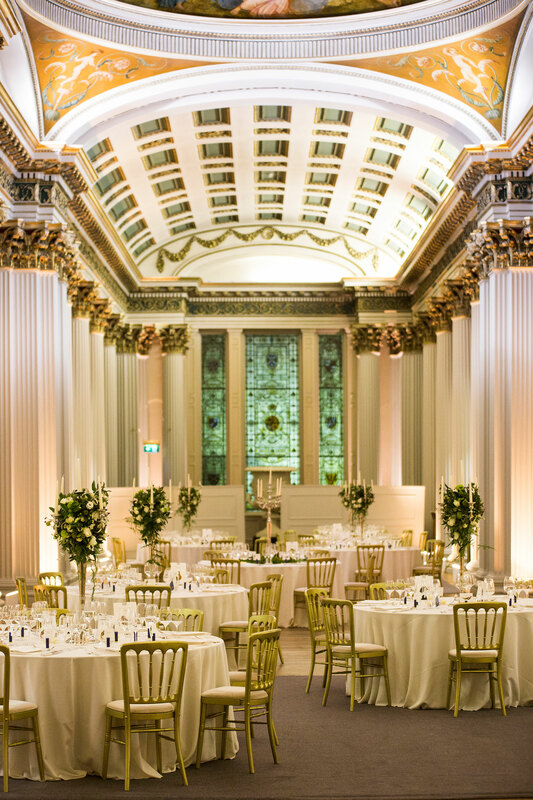 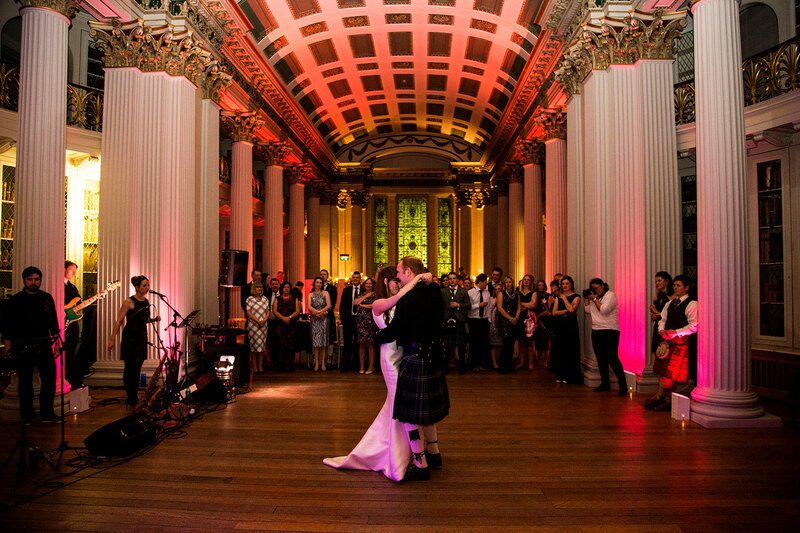 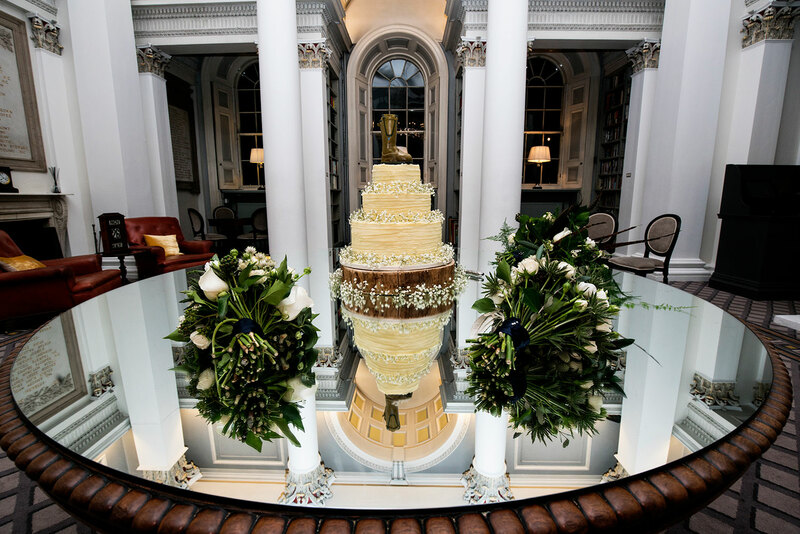 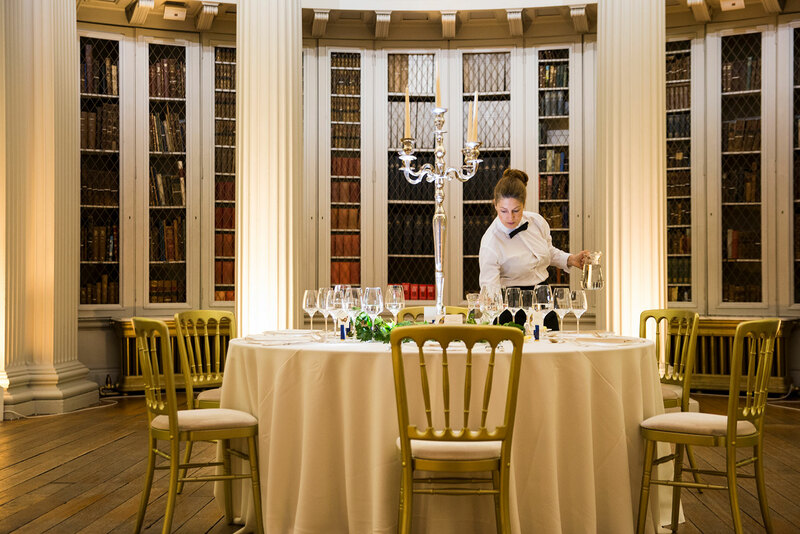 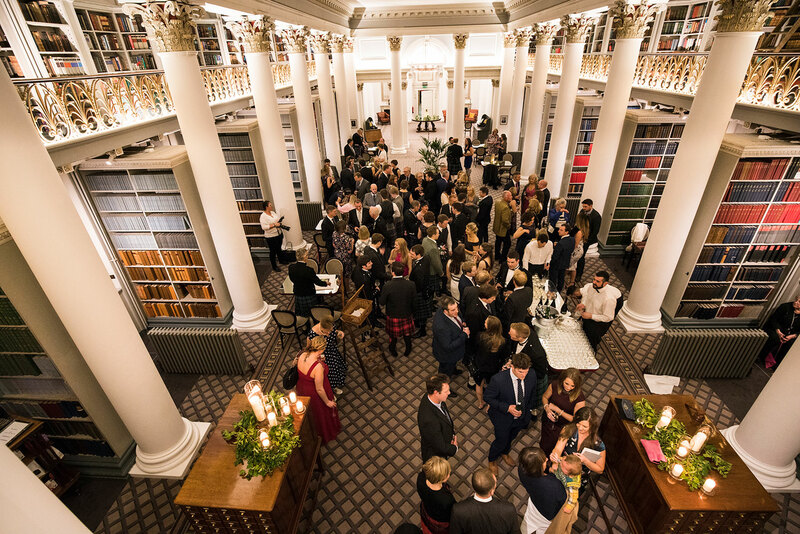 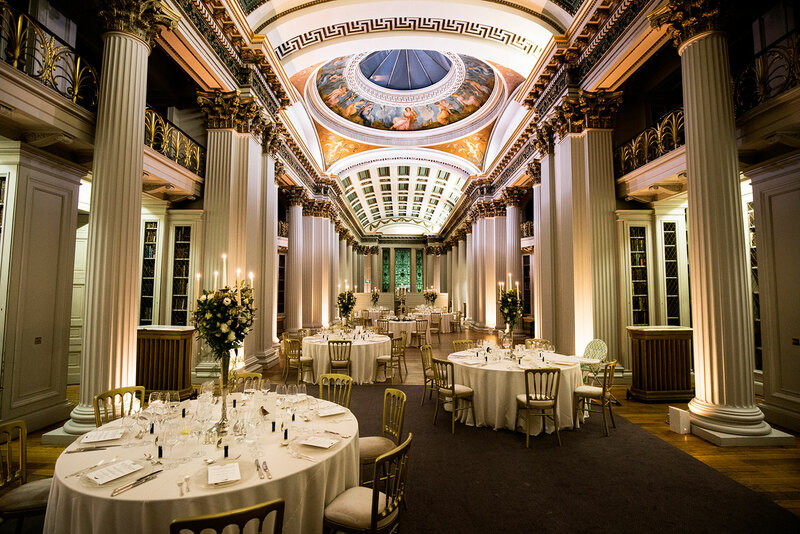 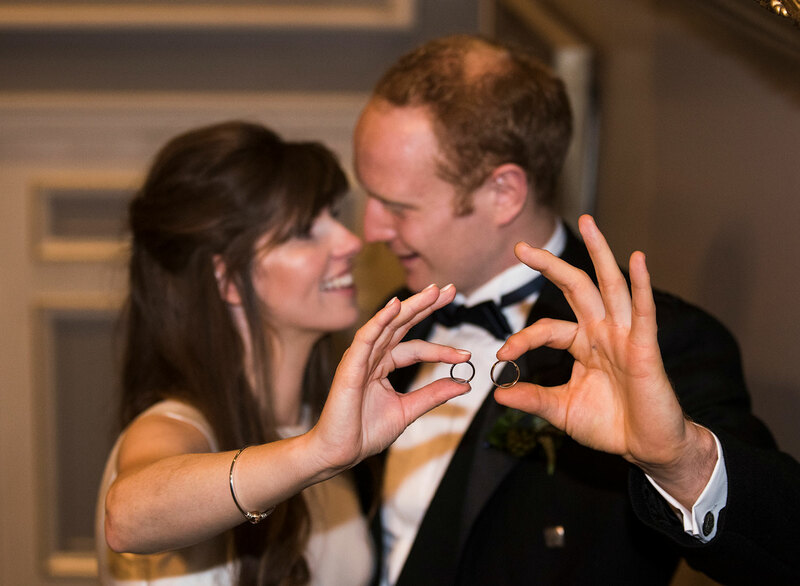 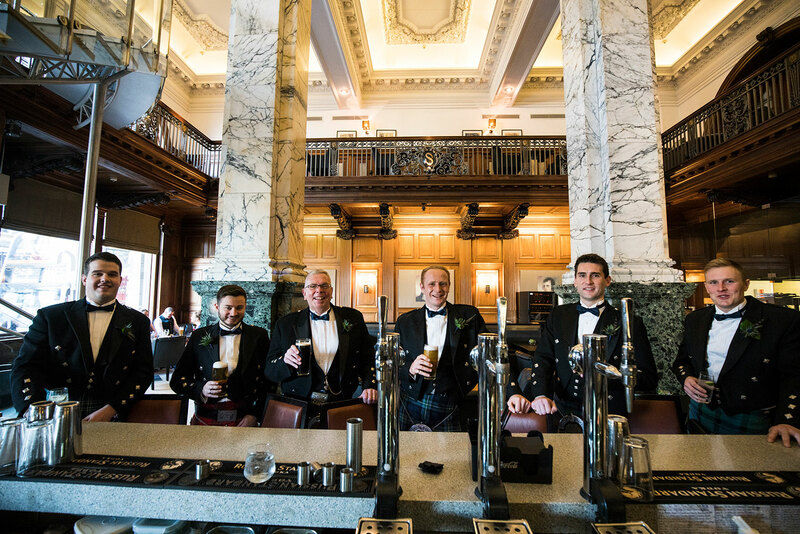 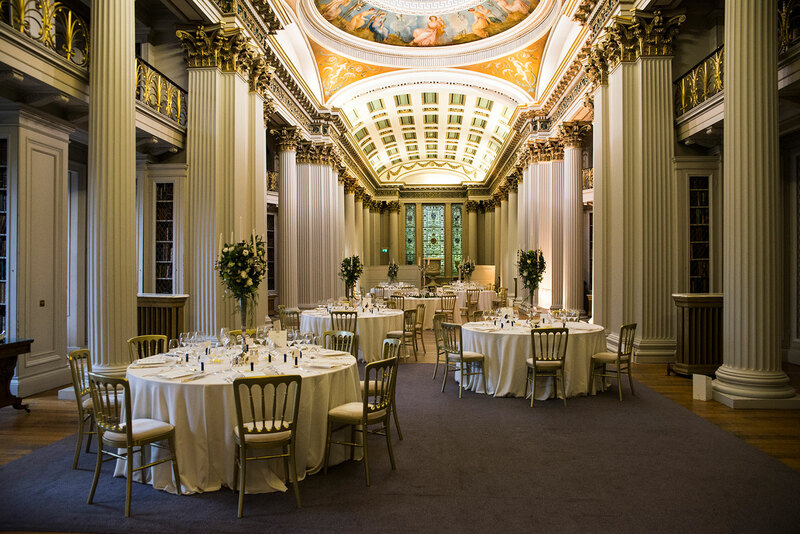 After the ceremony, we spend a little bit of time around the Signet Library for some romantic photos, and then the bride and groom joined the reception in the Colonnades in the Signet Library. 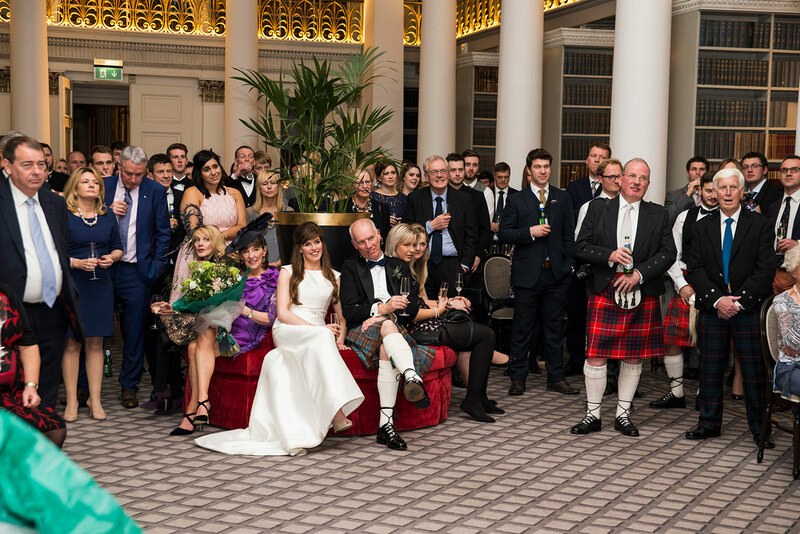 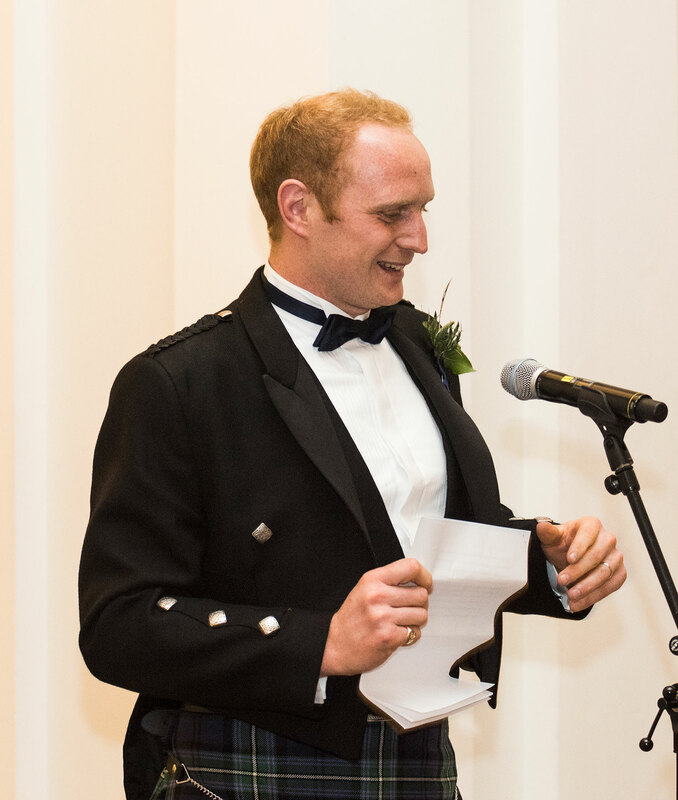 The speeches also took place in the same place, before the wedding party was invited to go upstairs for the wedding breakfast. 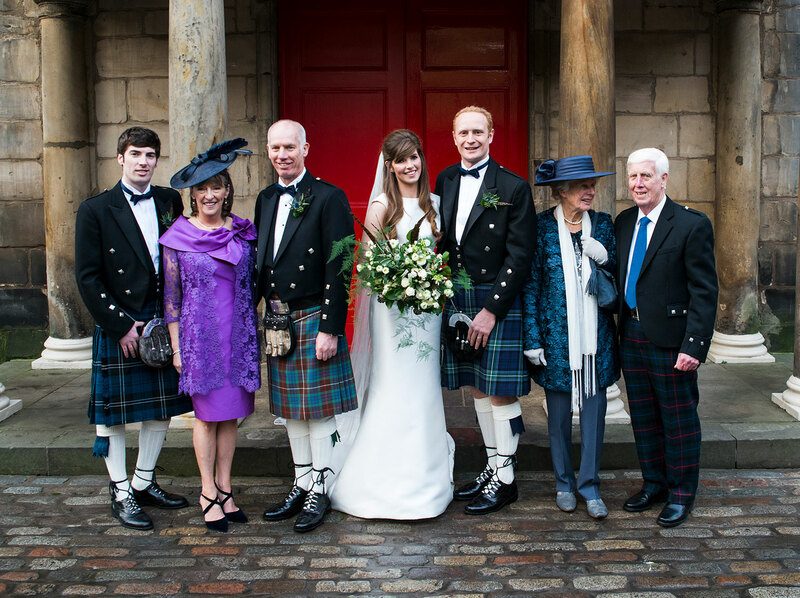 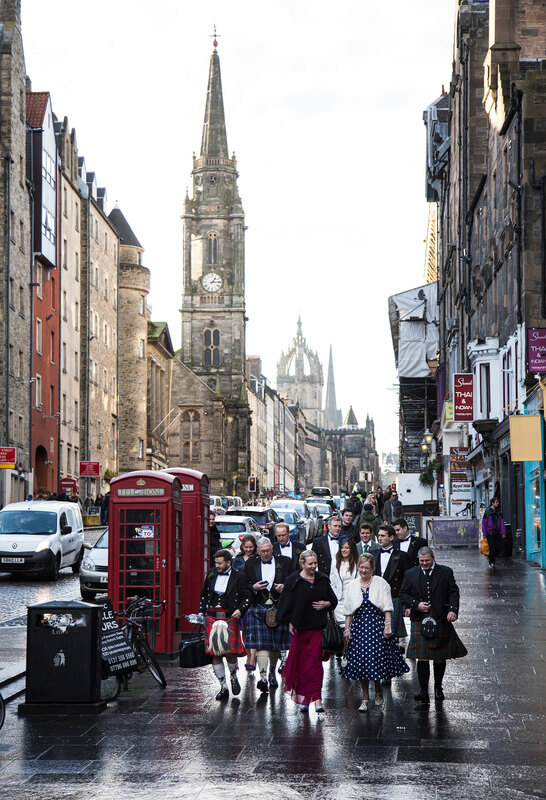 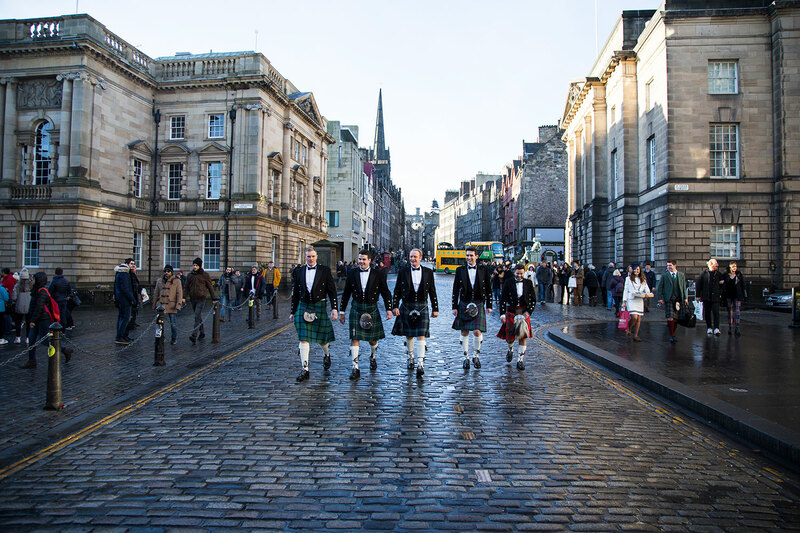 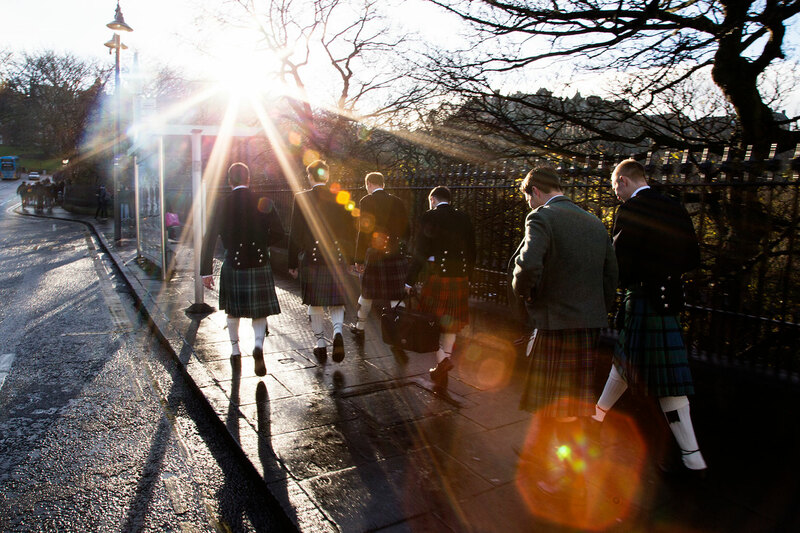 The family and guests on their way down Edinburgh's Royal Mile to Canongate Kirk. 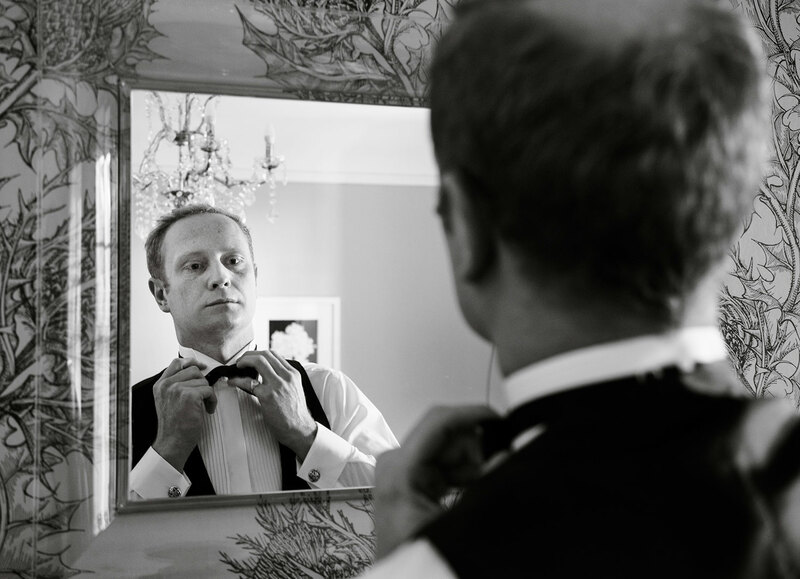 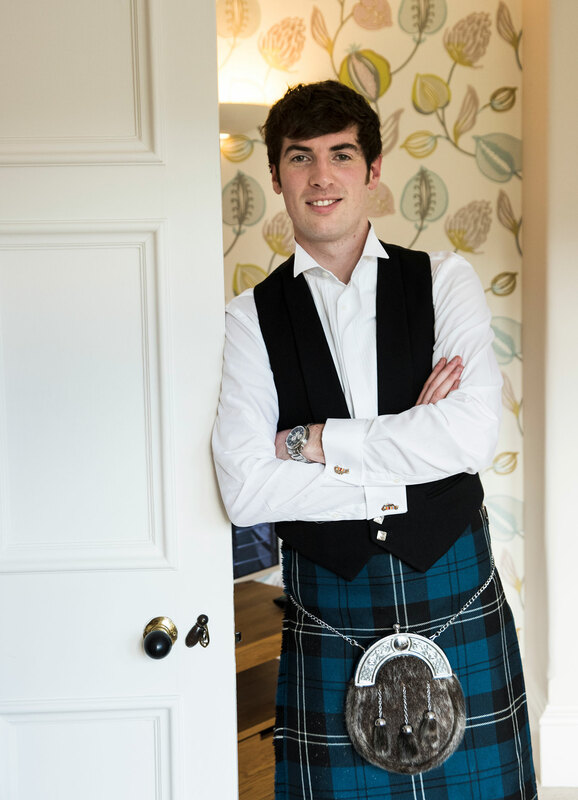 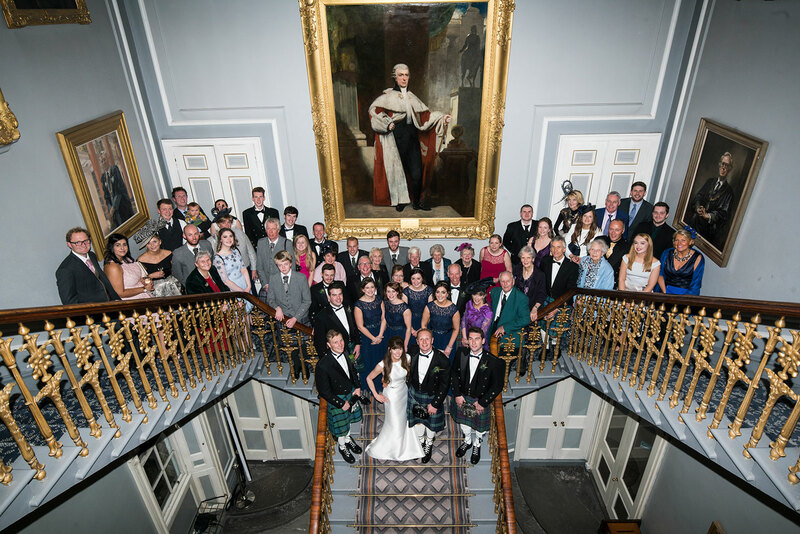 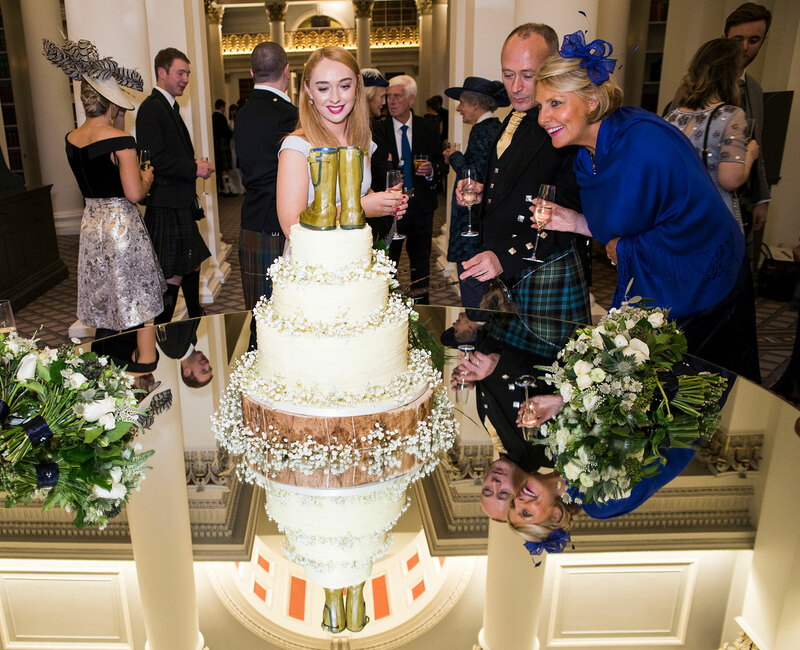 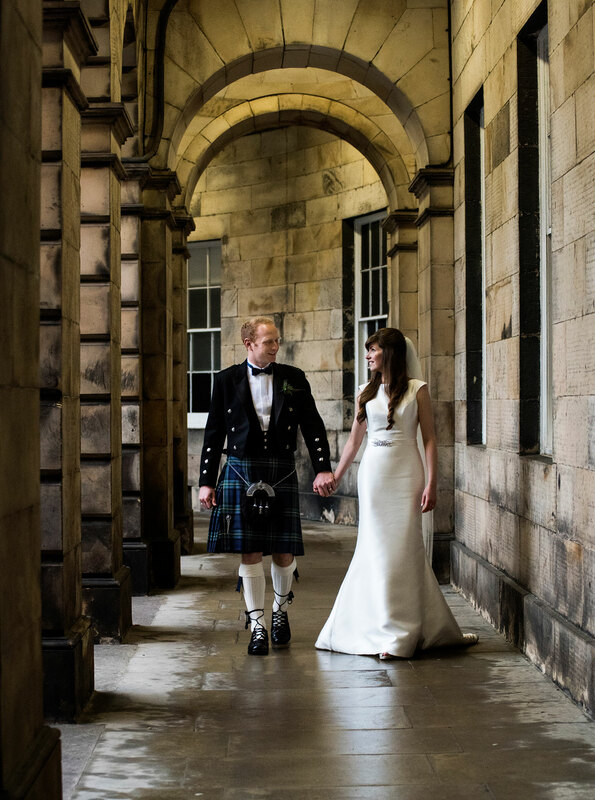 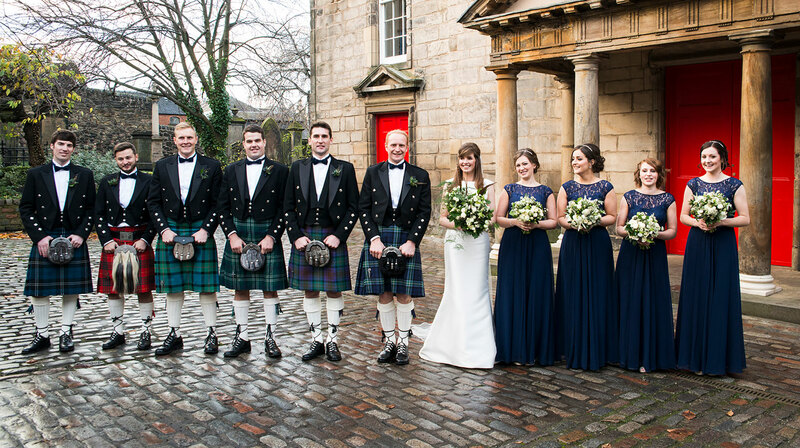 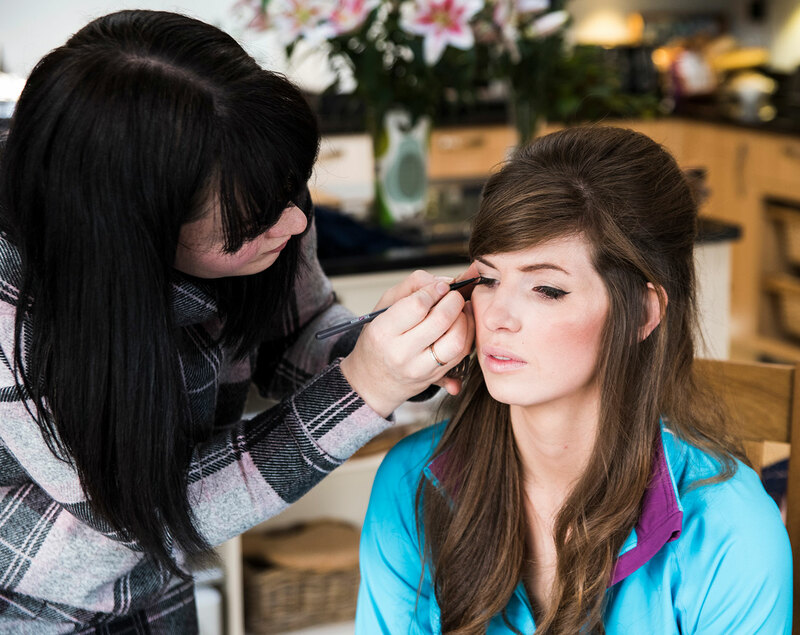 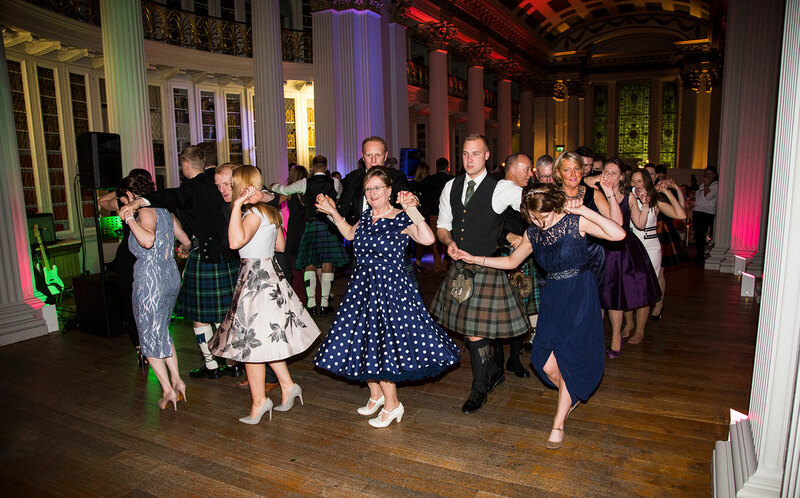 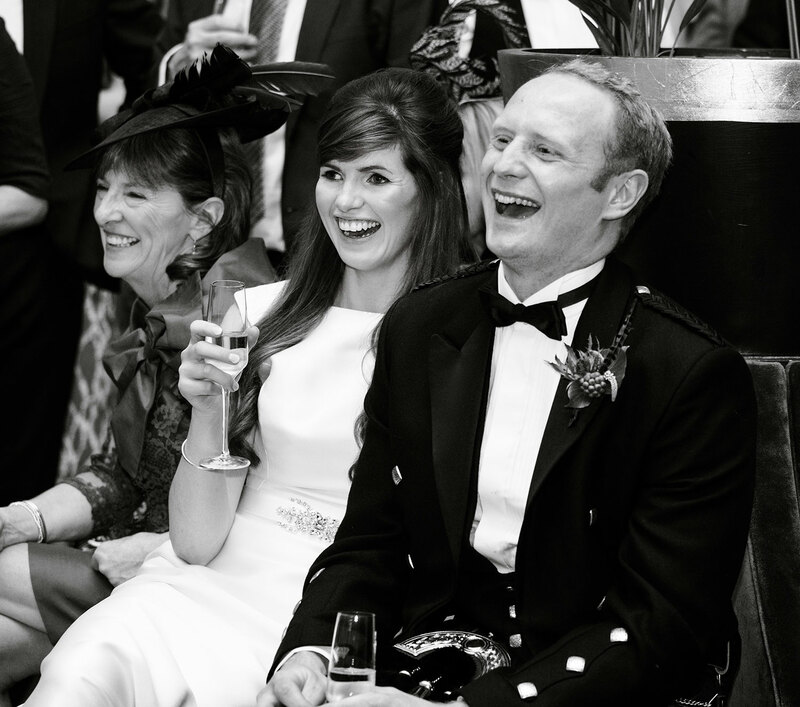 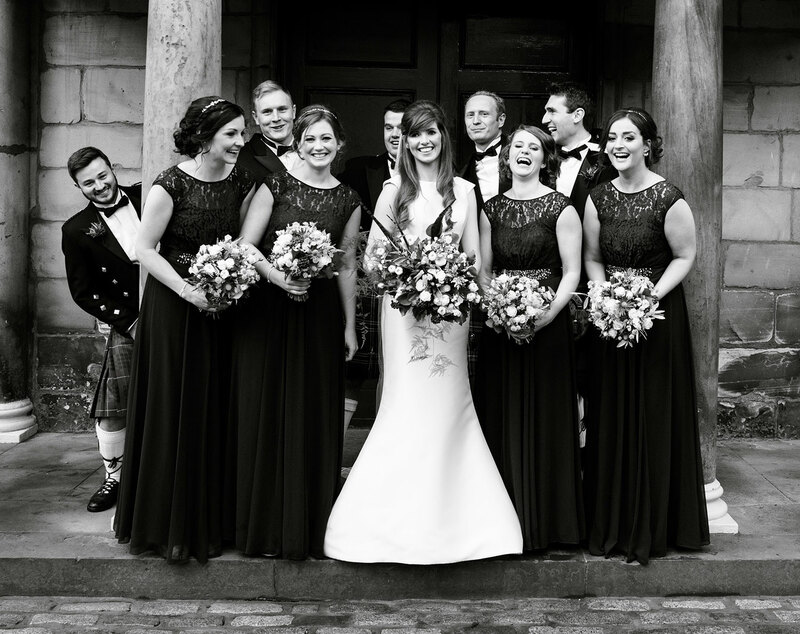 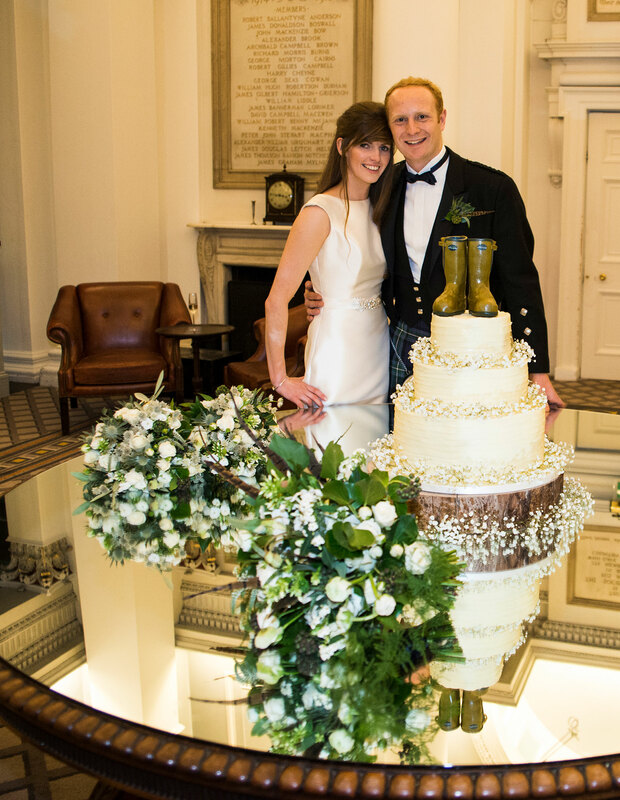 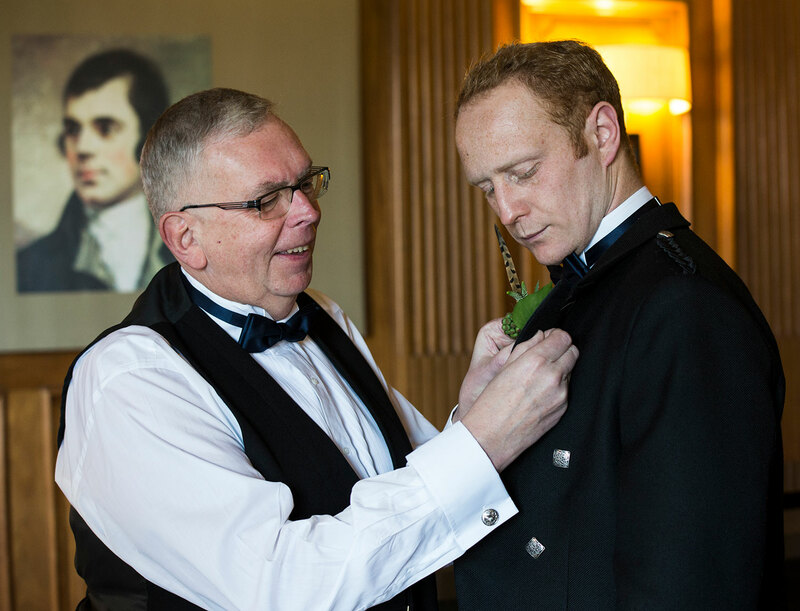 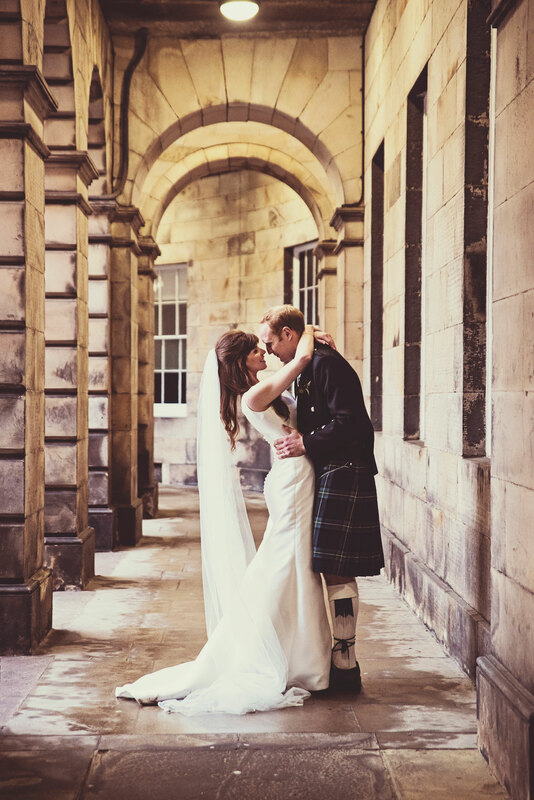 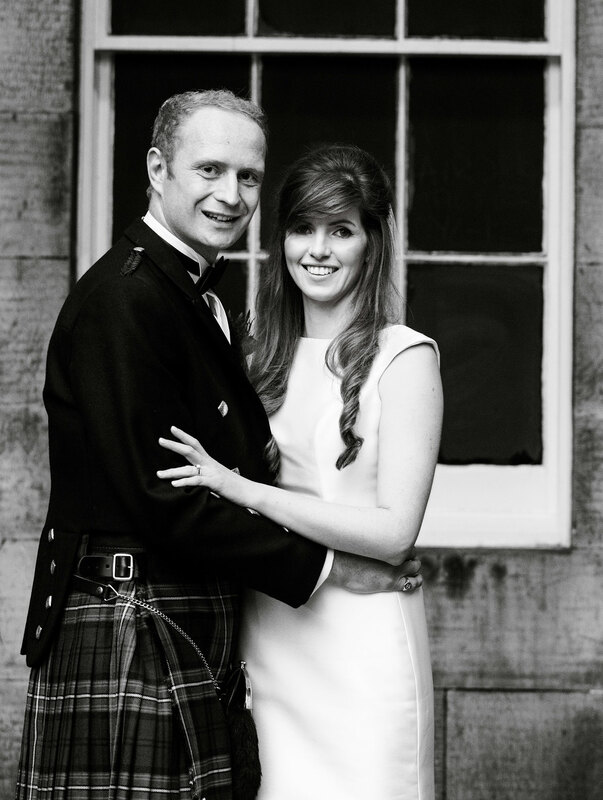 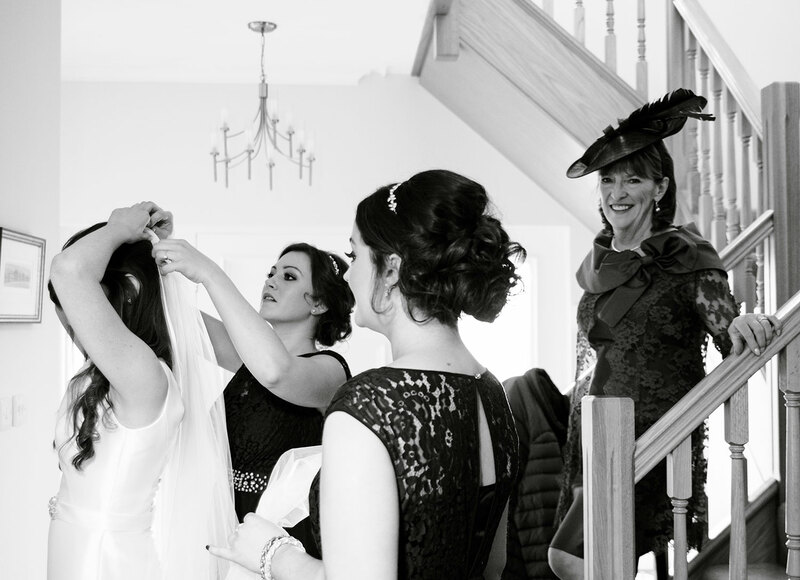 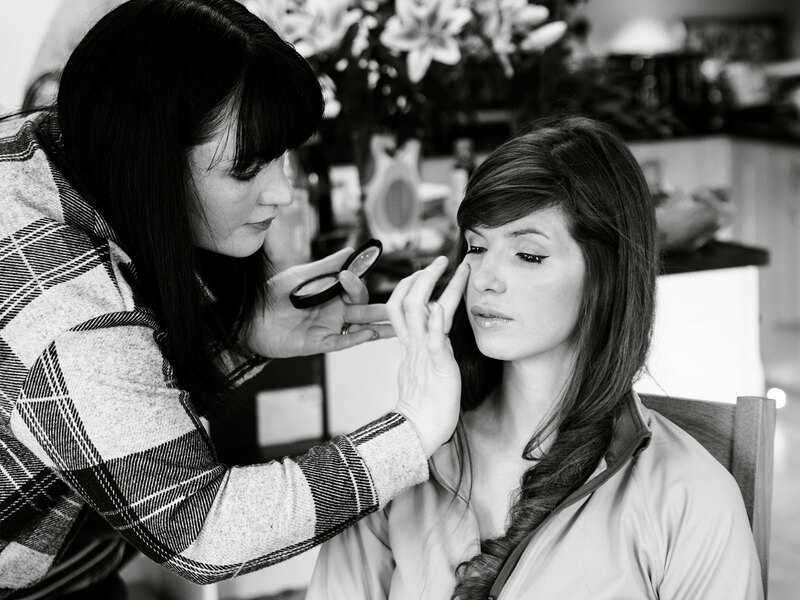 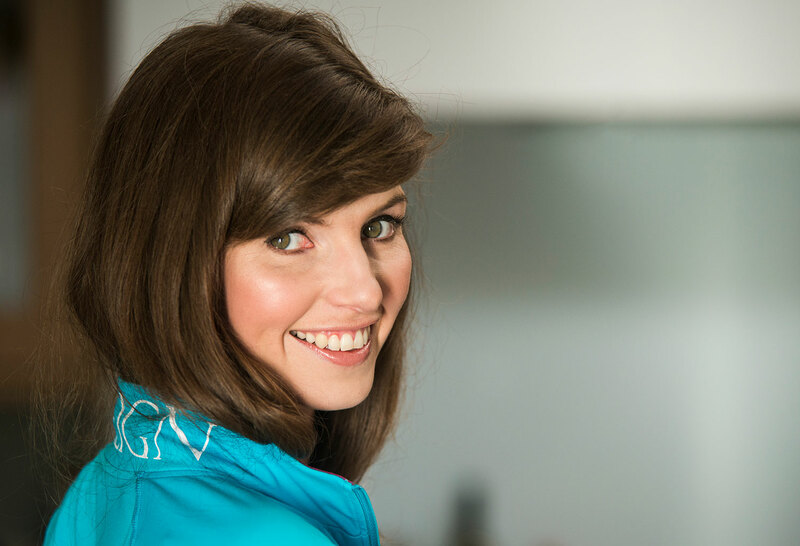 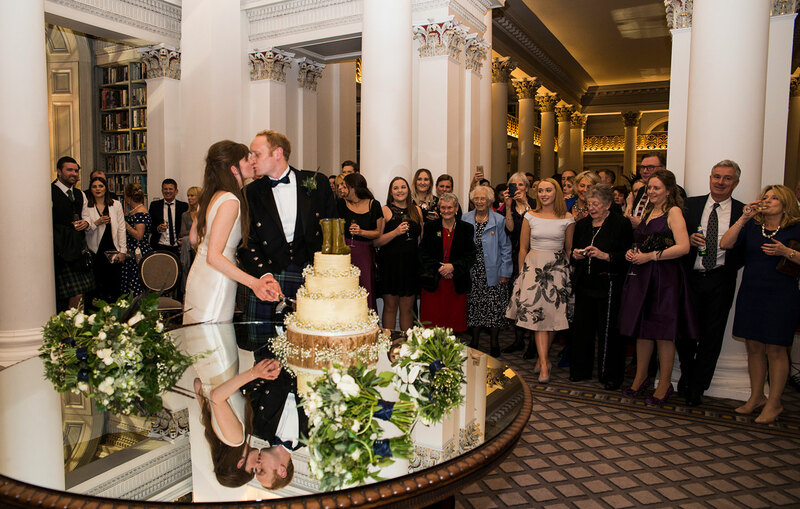 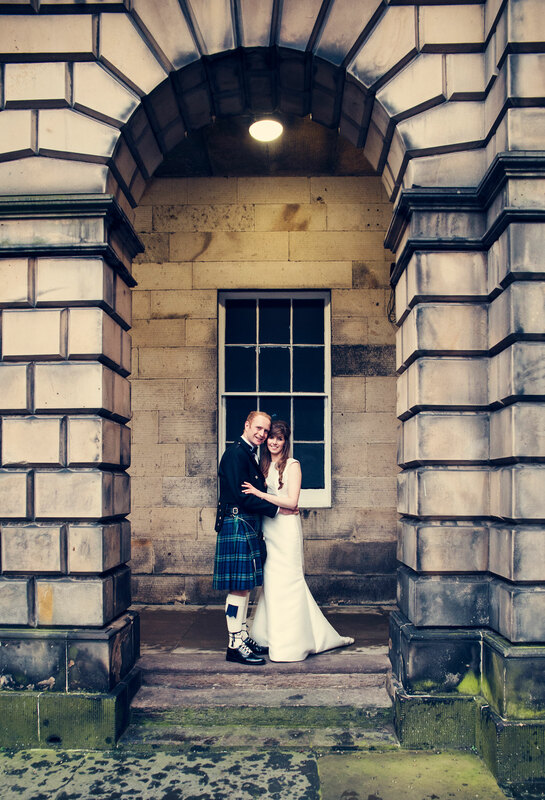 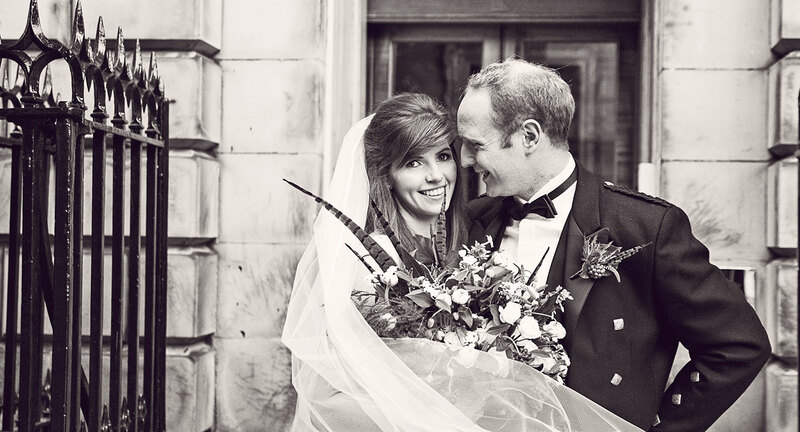 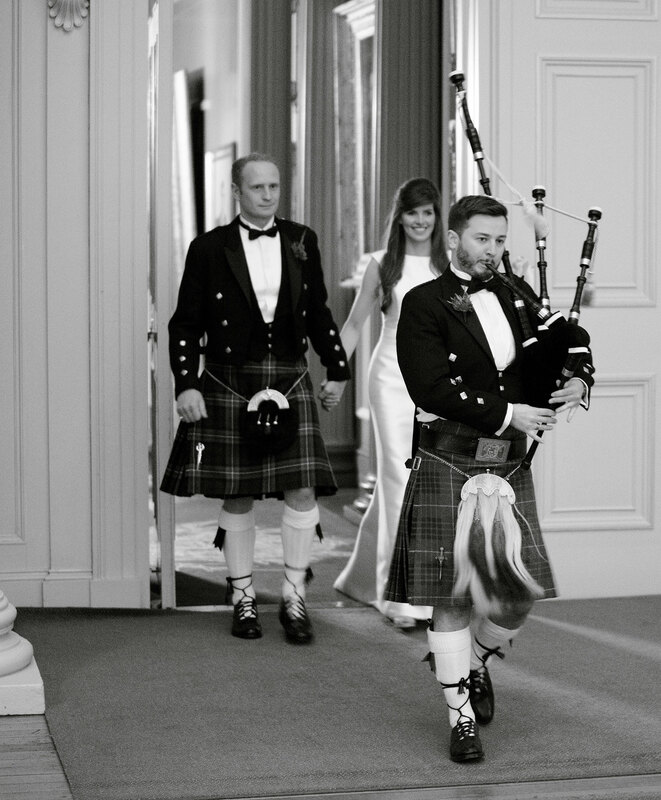 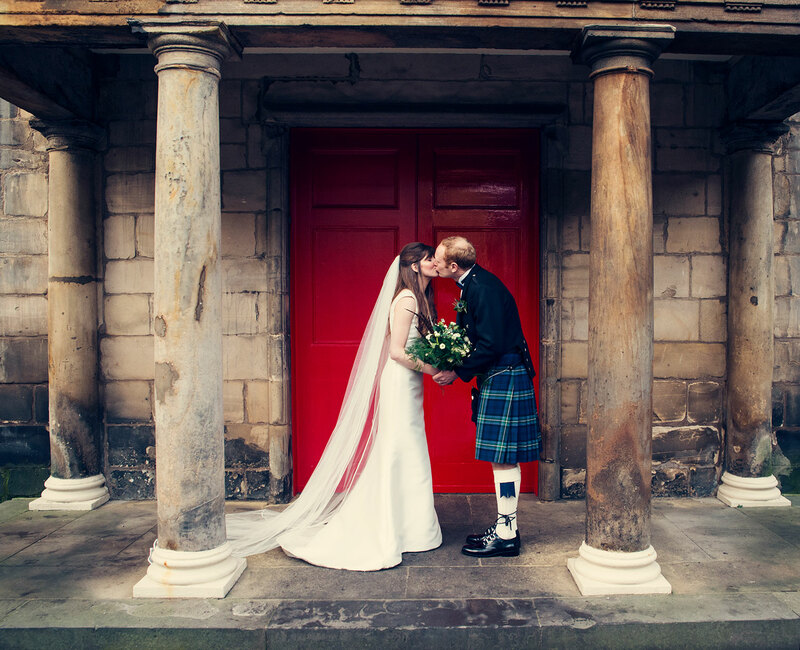 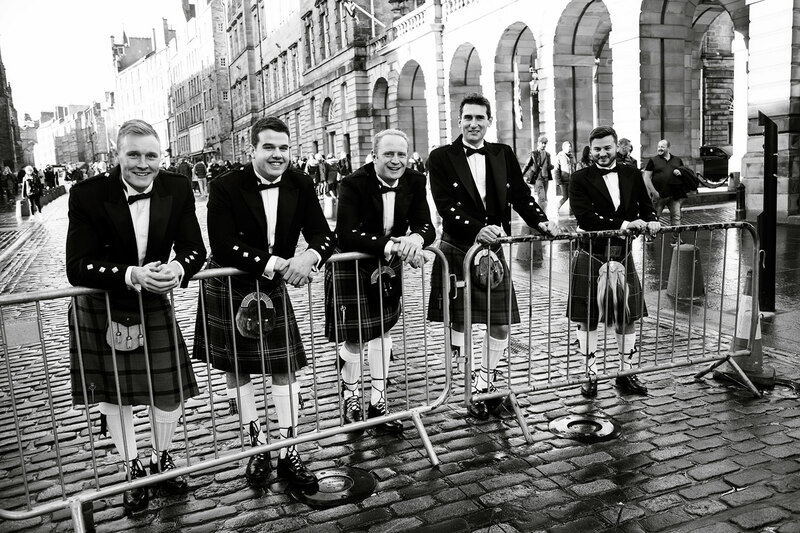 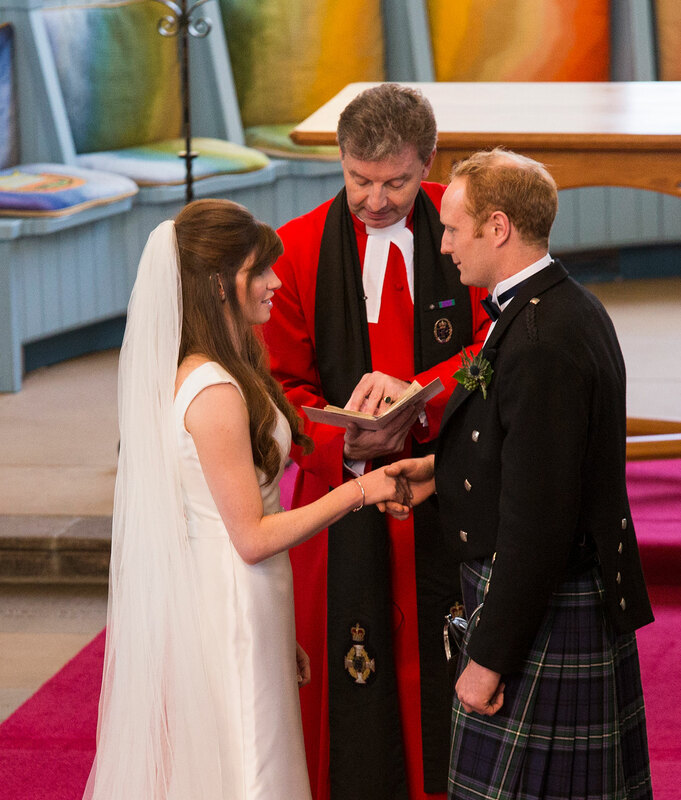 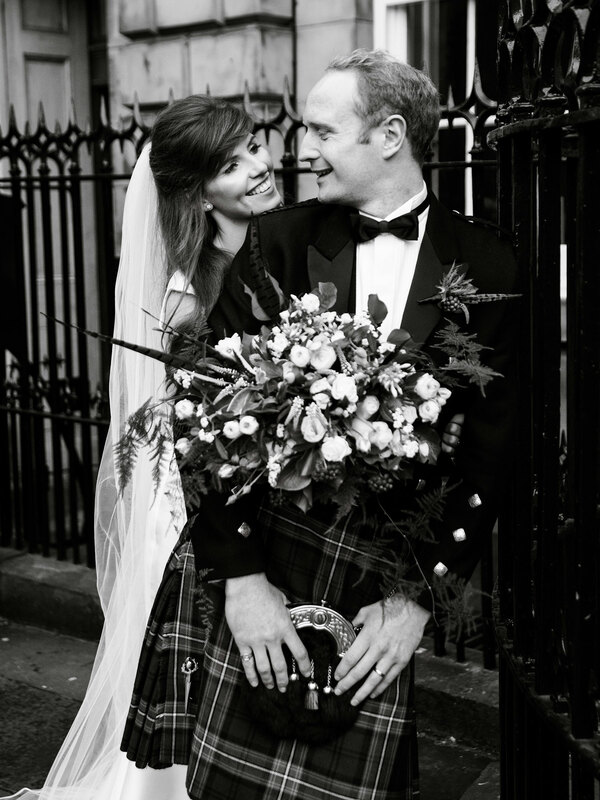 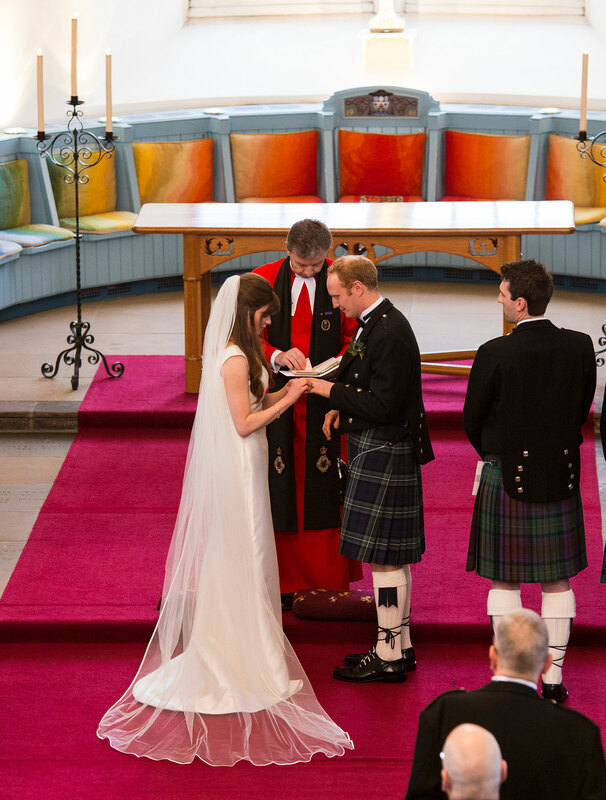 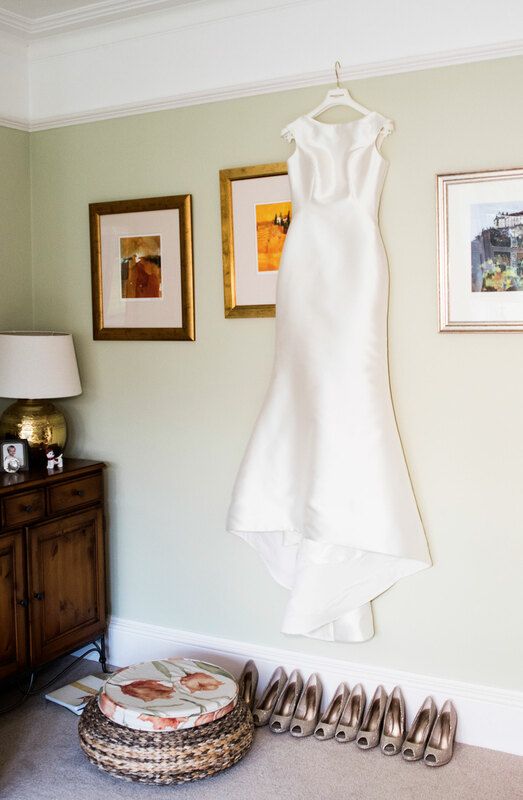 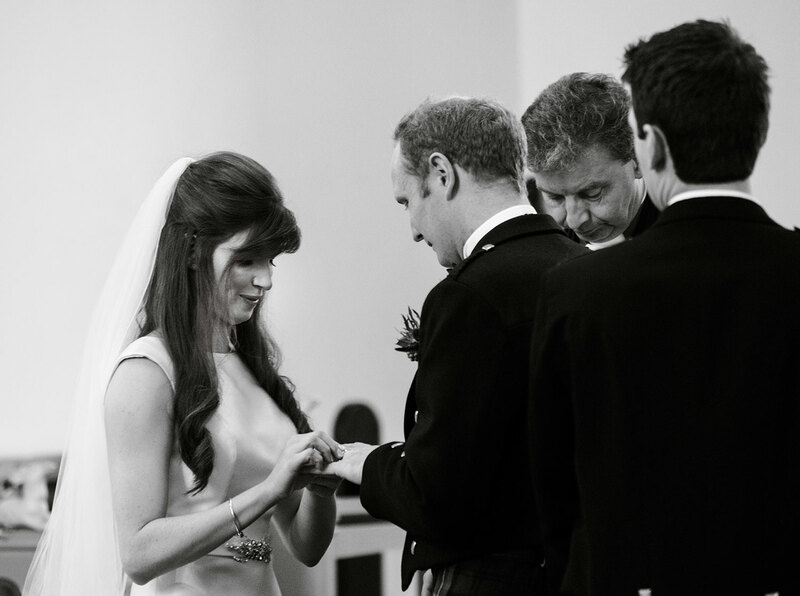 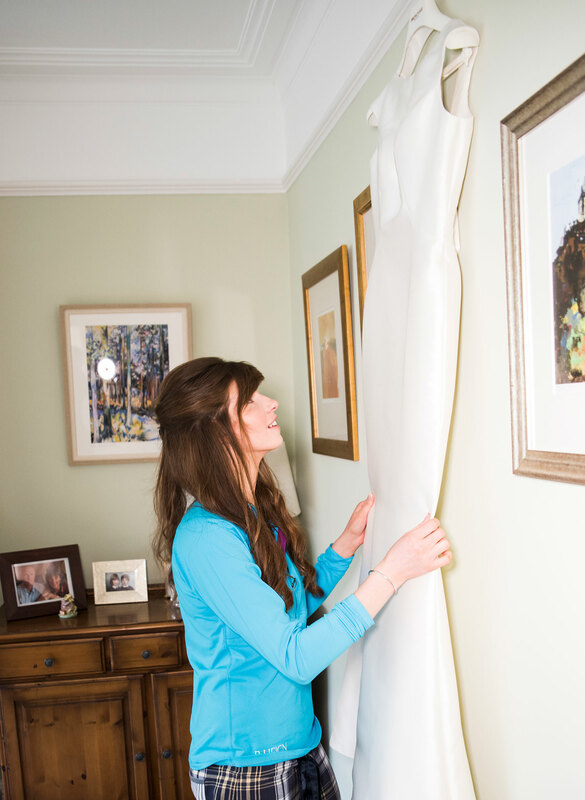 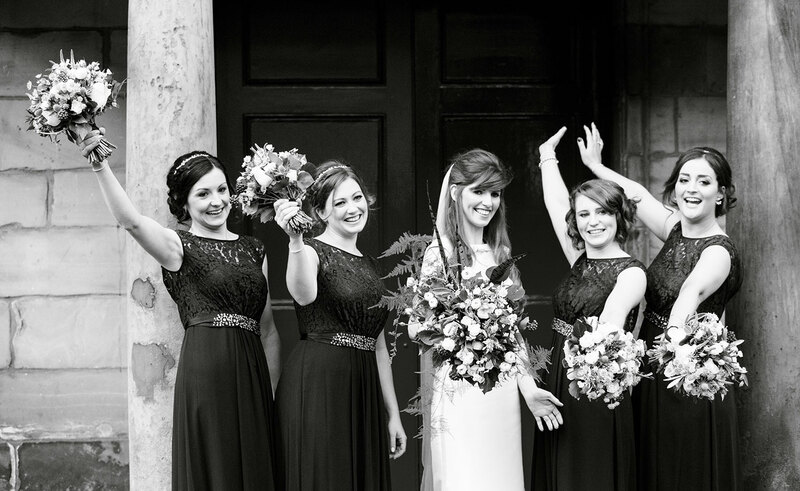 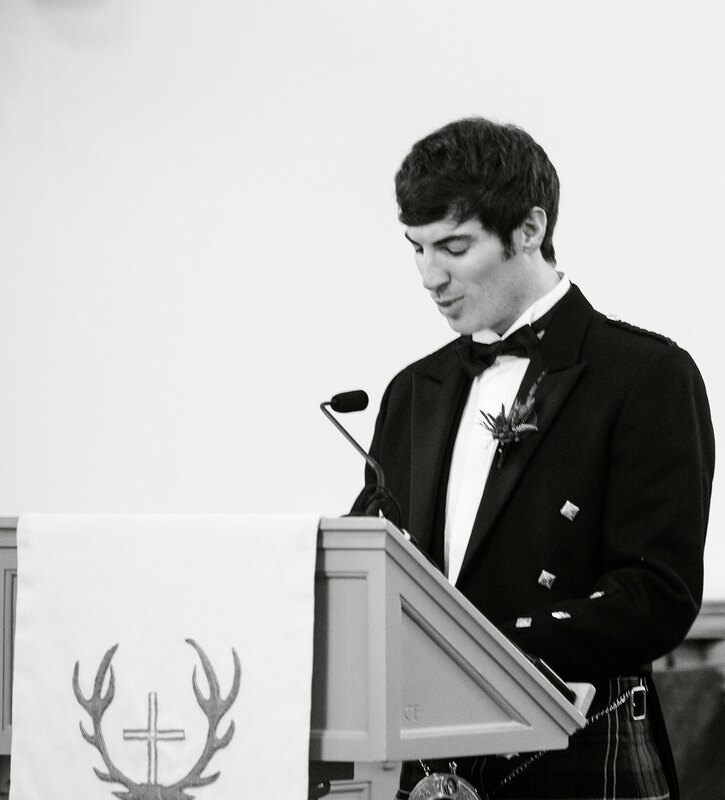 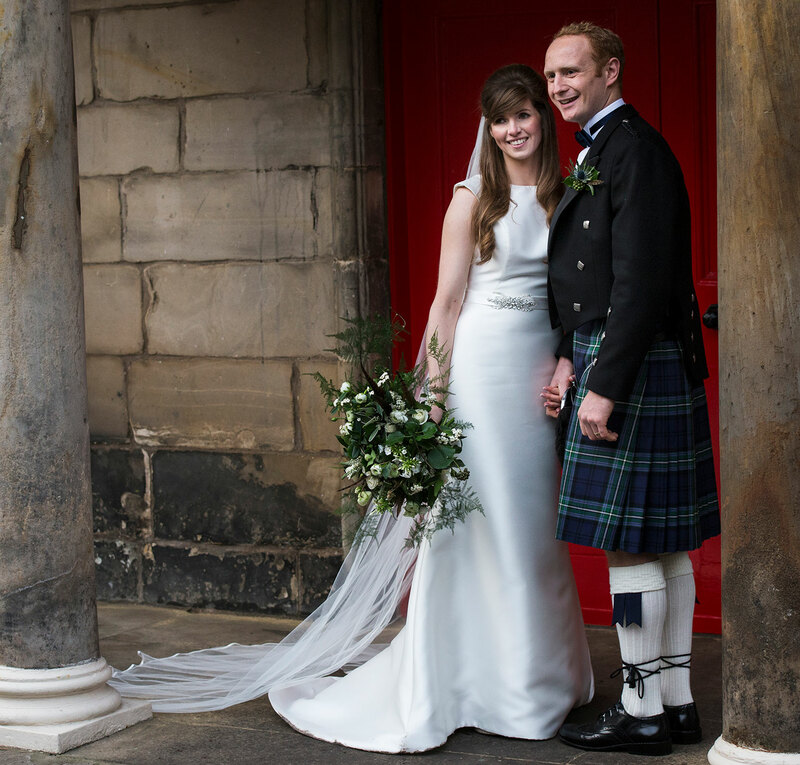 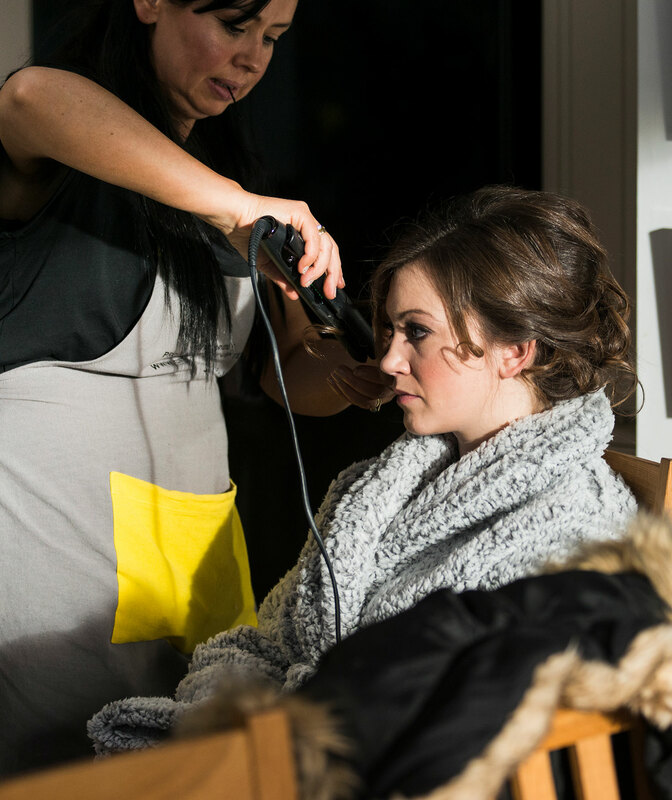 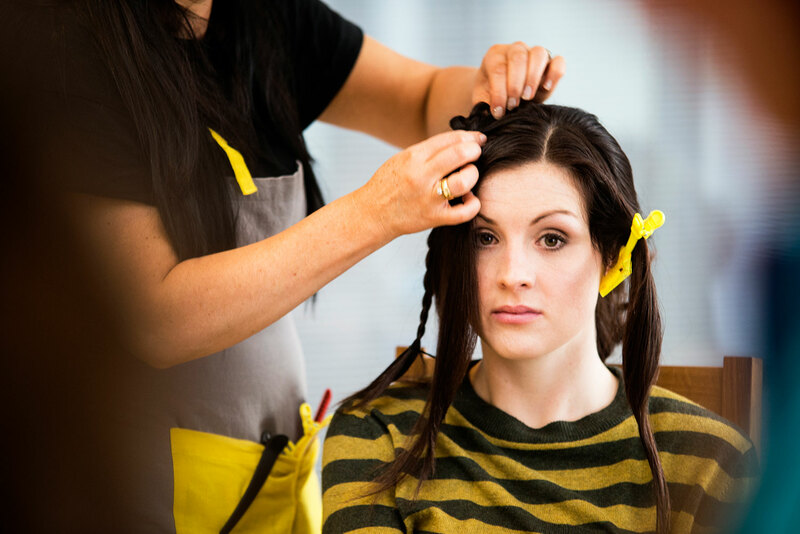 Edinburgh City Brides Hair & Make-up professionals. 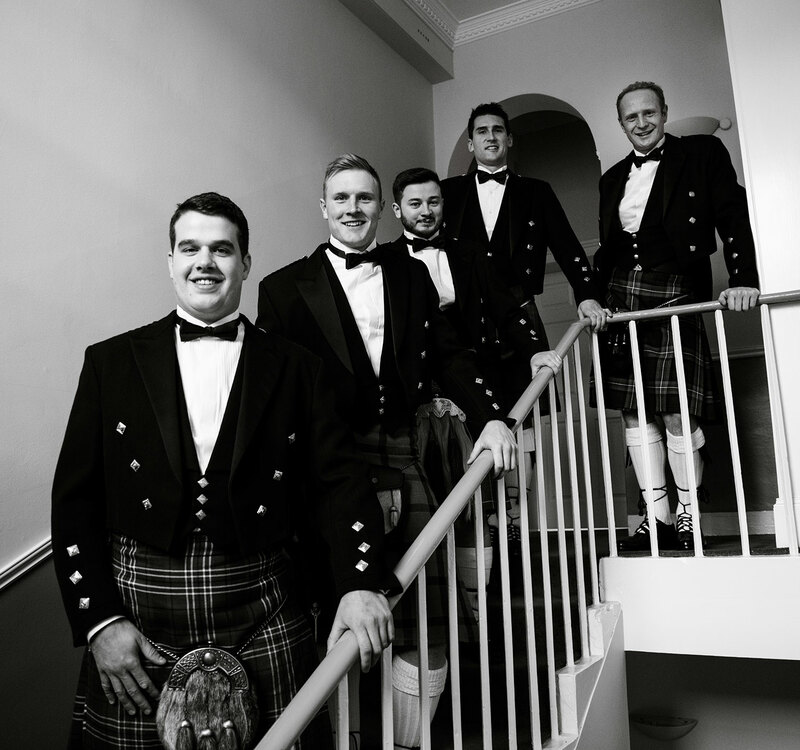 Love working with these guys! 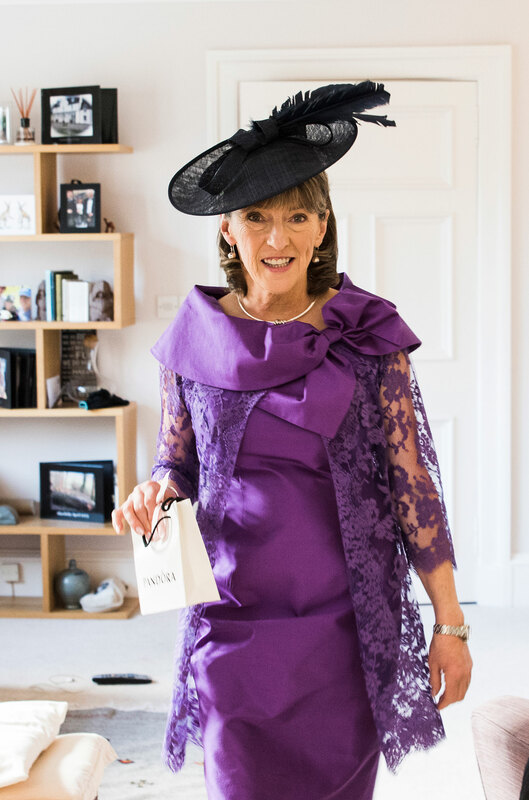 Gorgeous outfit - mother of the bride. 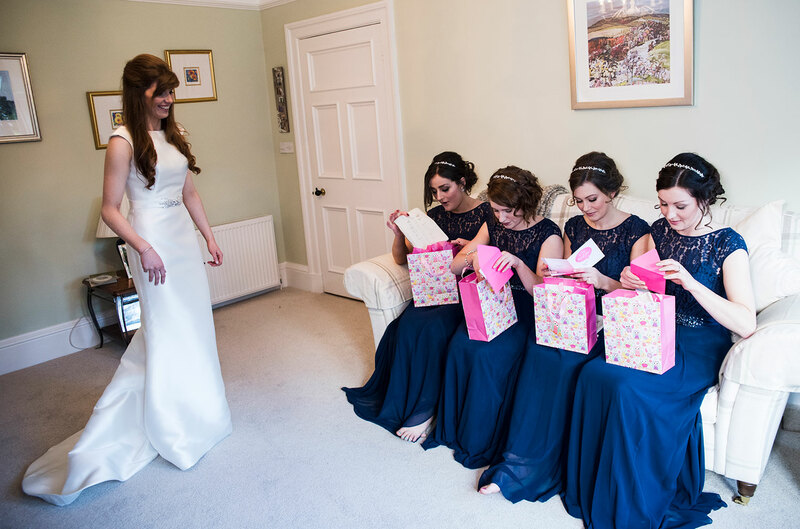 Sarah-Kate receiving a gift from James before the wedding. 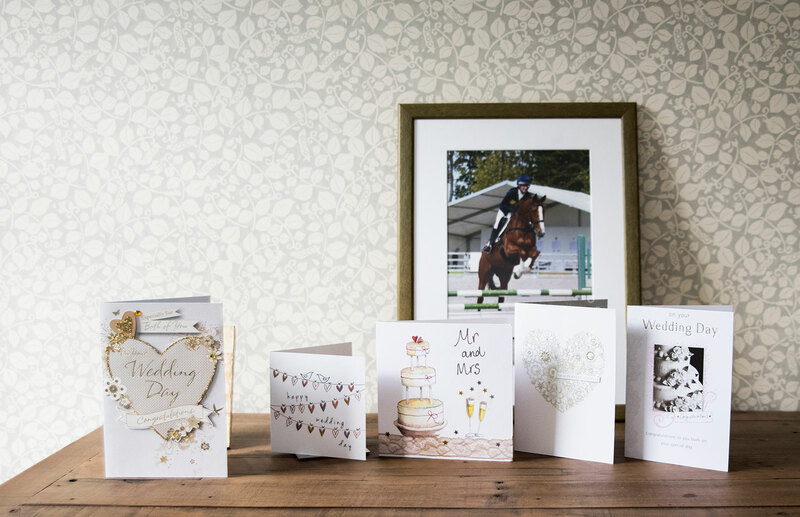 There were so many cards all over the house. 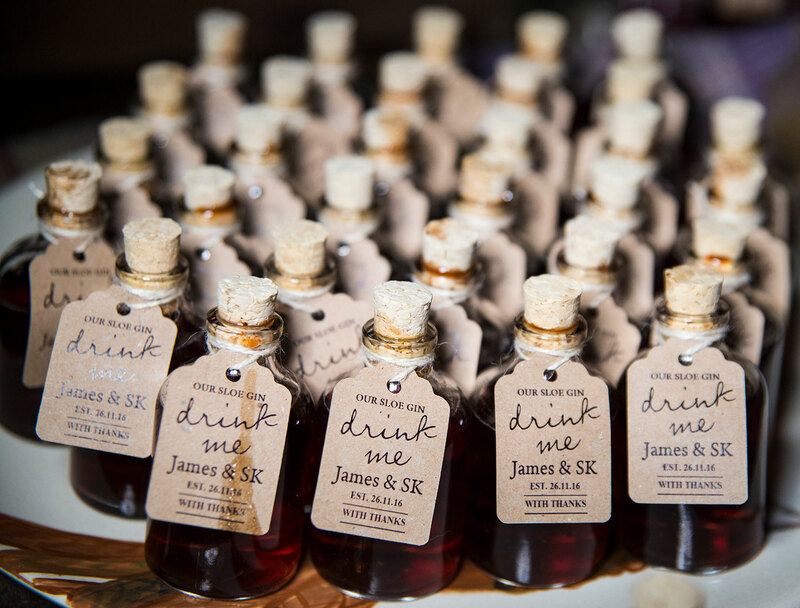 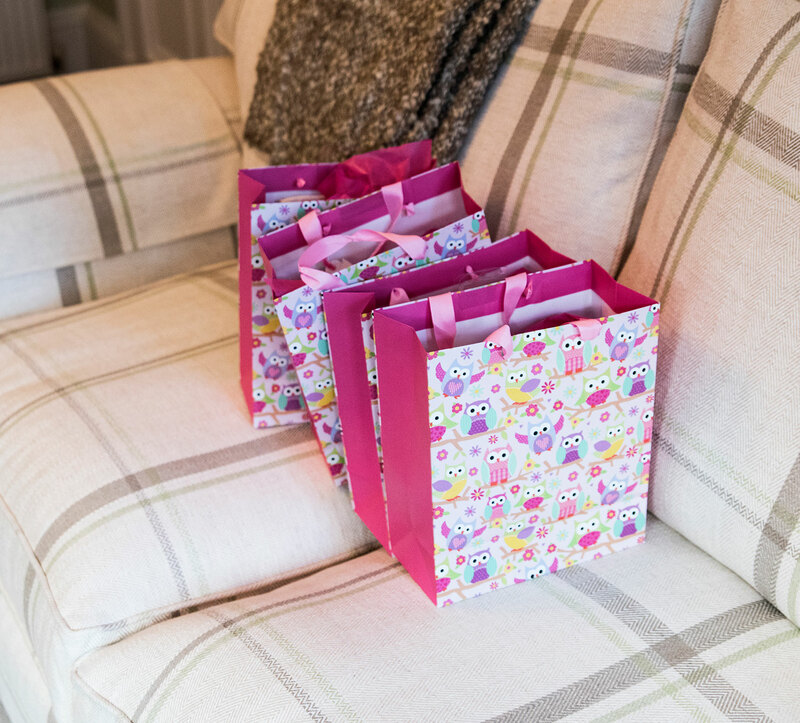 The gift bags for the bridesmaids. 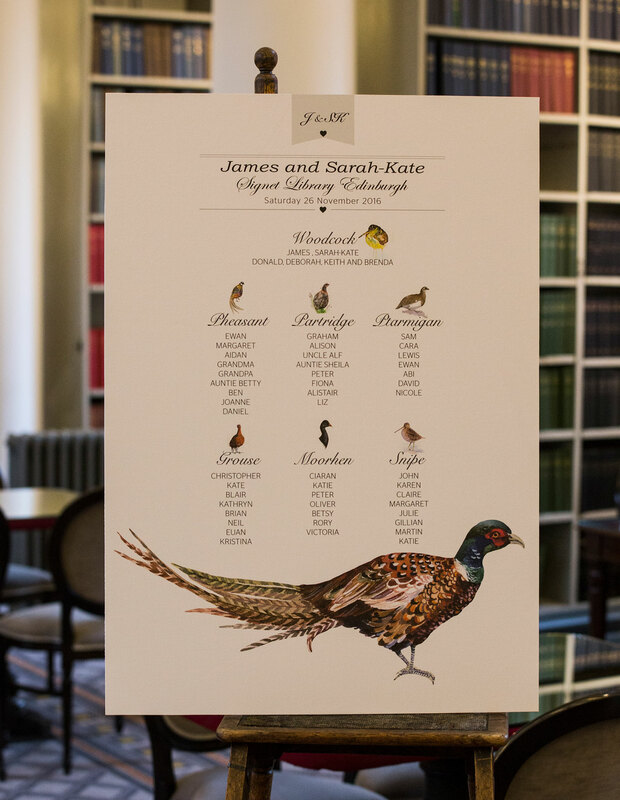 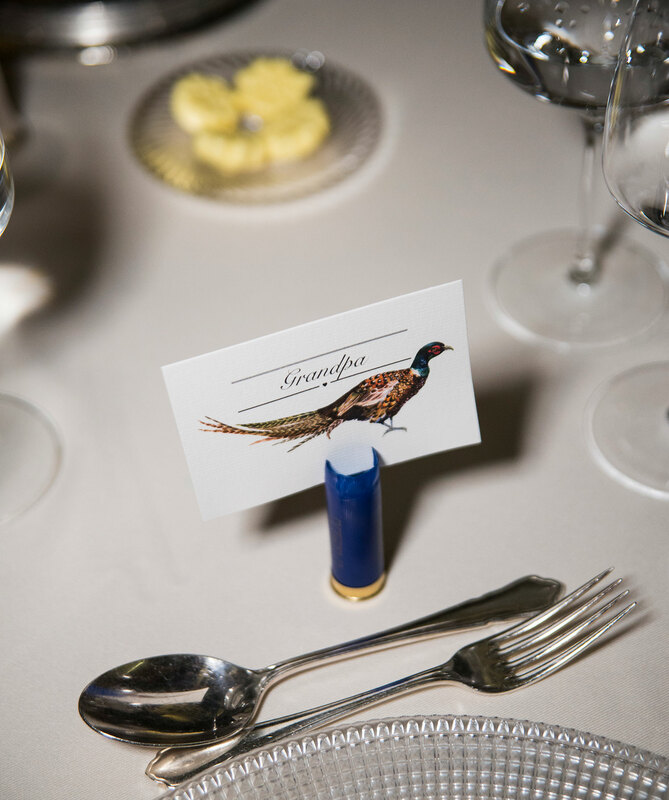 Pheasant feathers were part of the bridal bouquet. 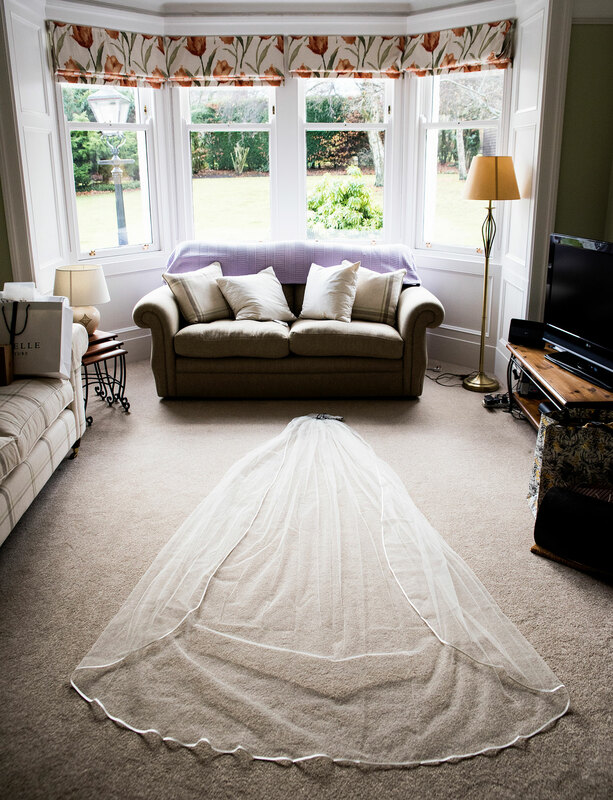 Just loved the shadows in this image. 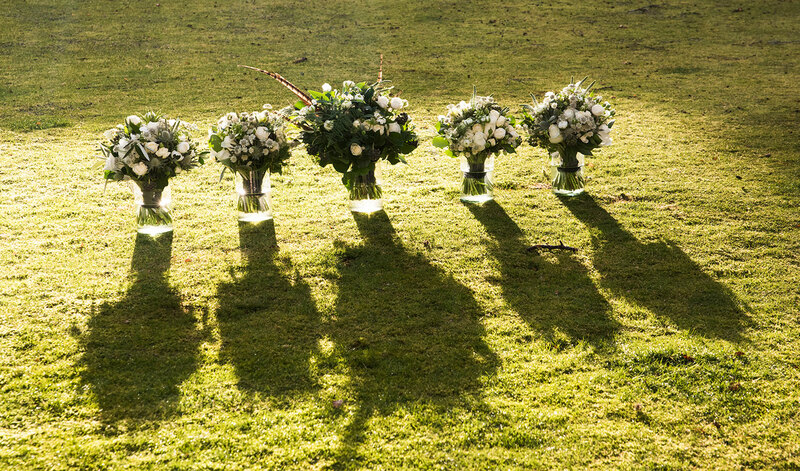 Planet Flowers. 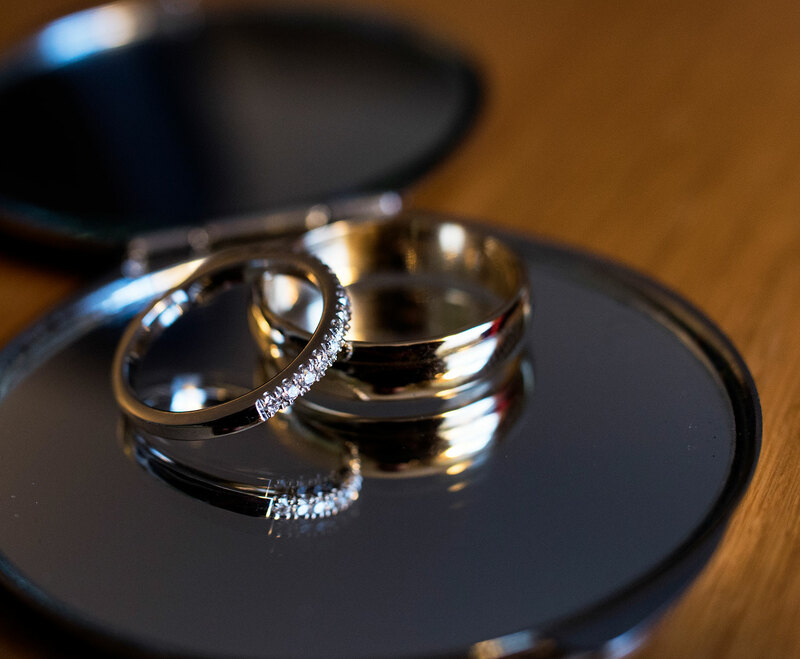 Perfect! 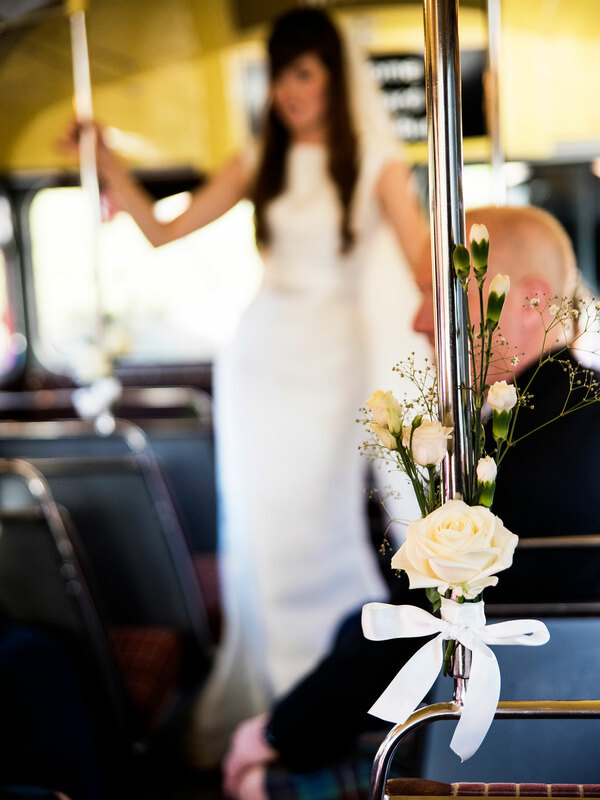 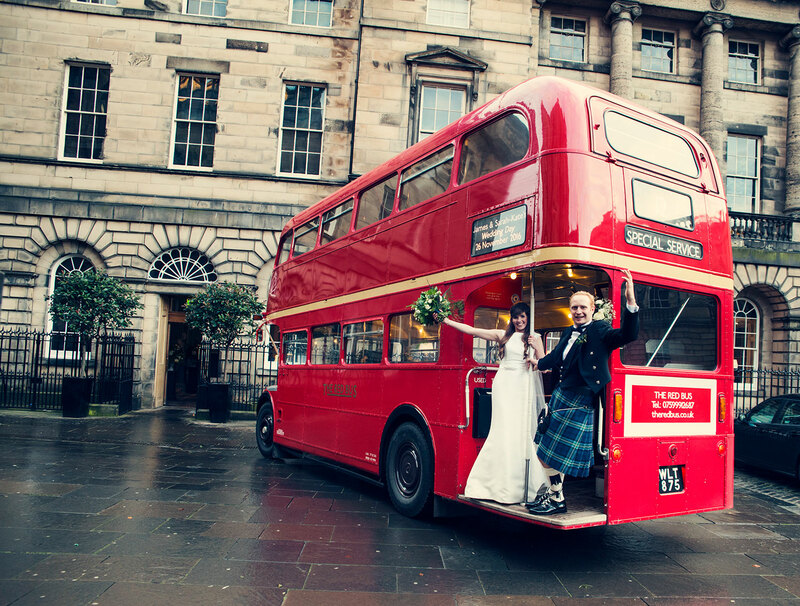 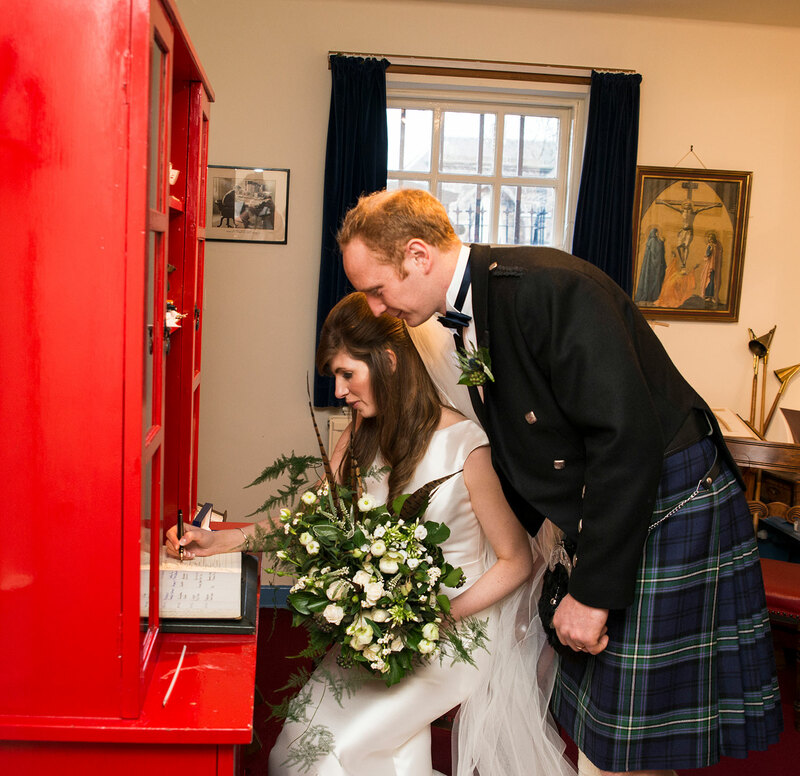 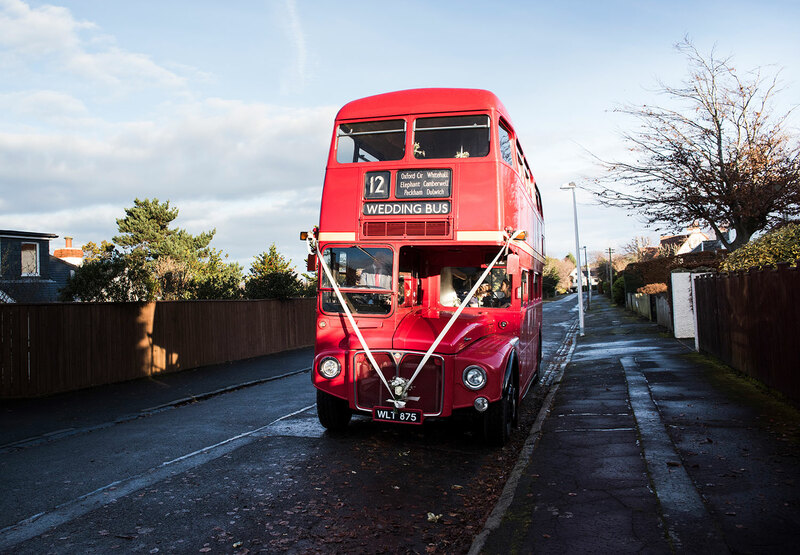 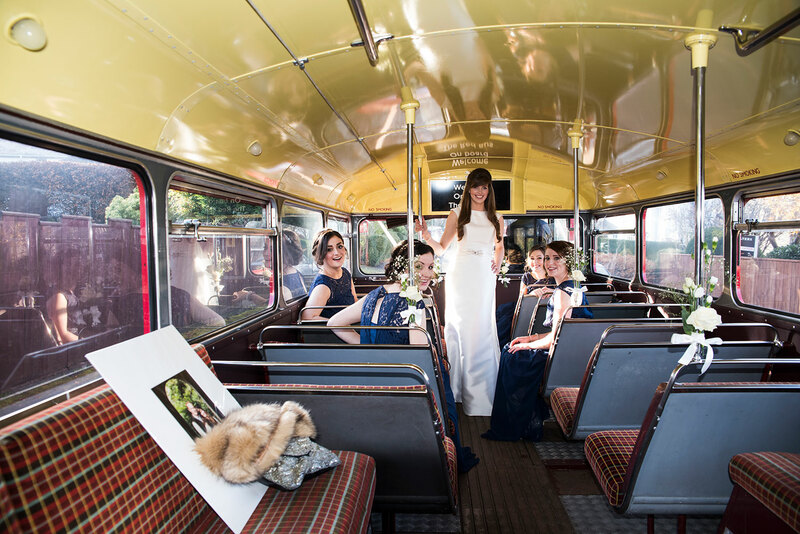 The Red Bus - vintage wedding transport in Edinburgh. 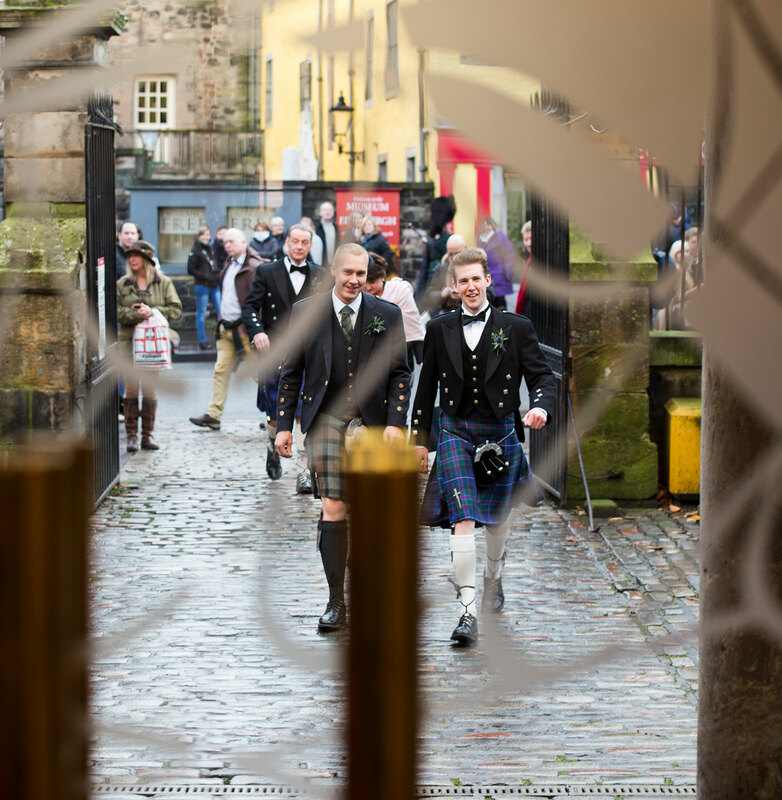 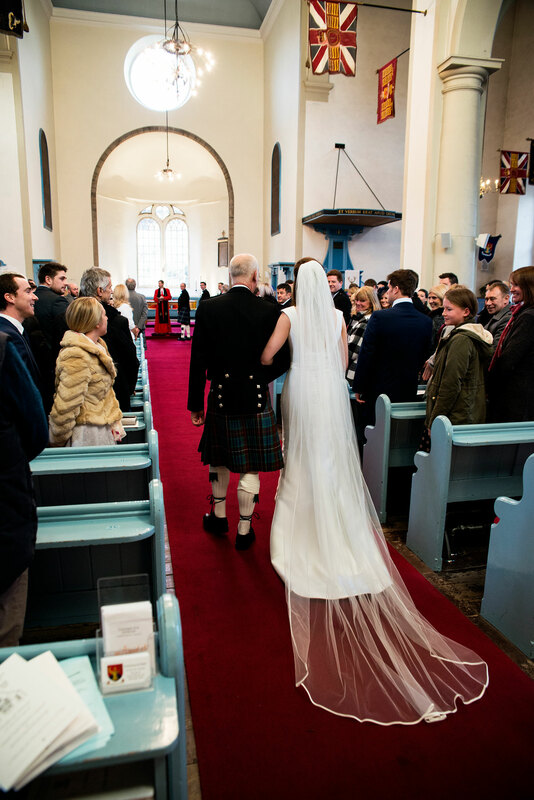 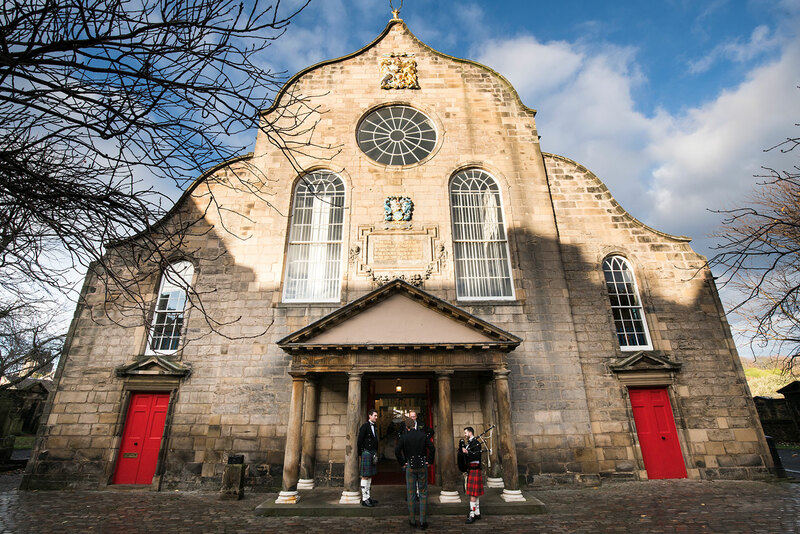 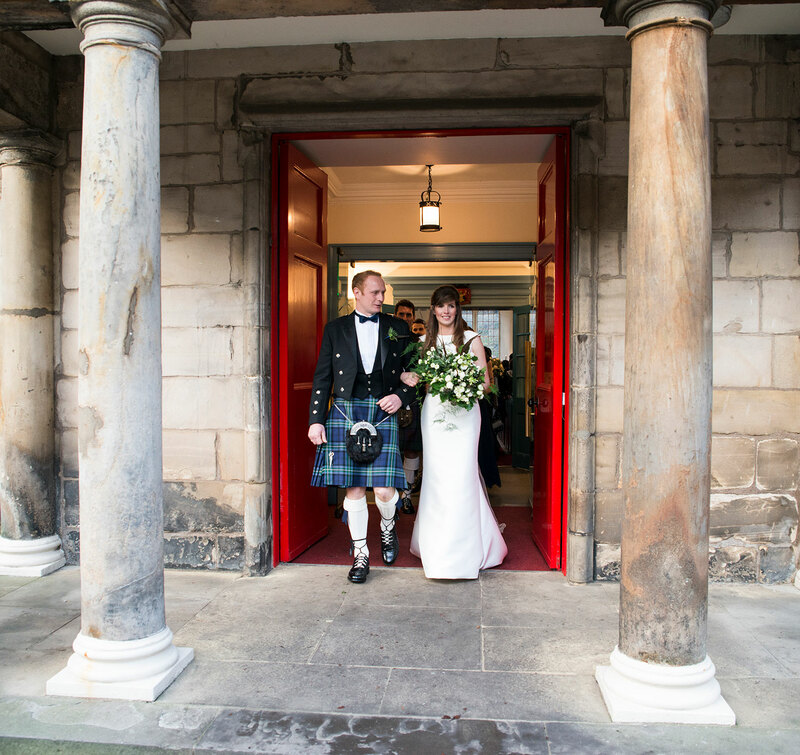 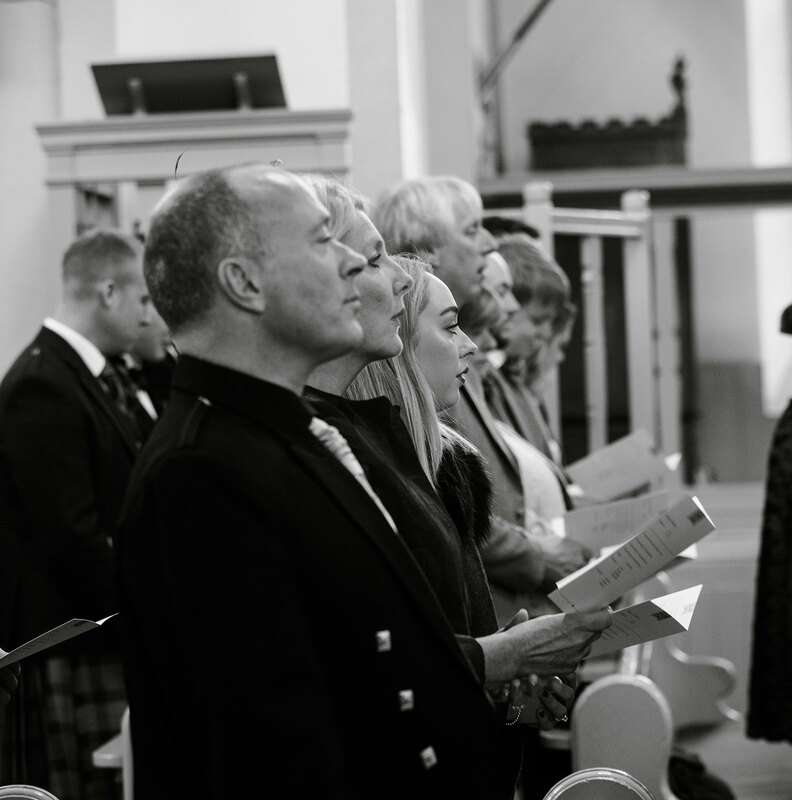 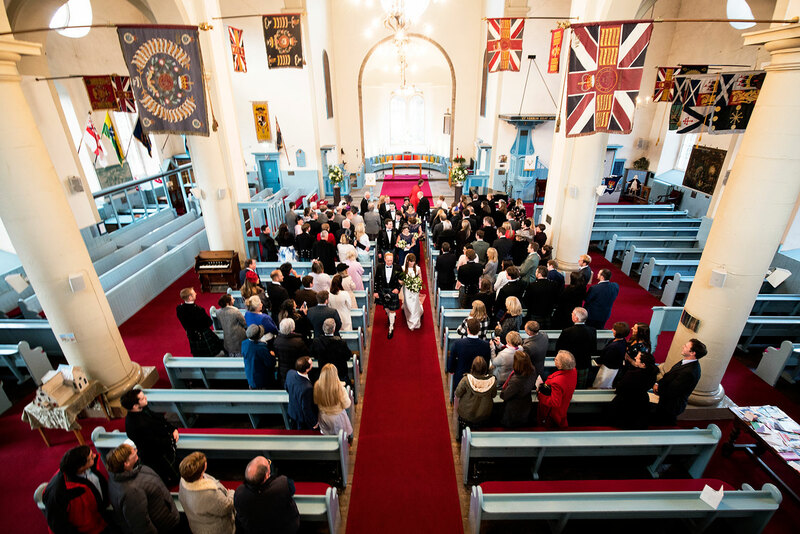 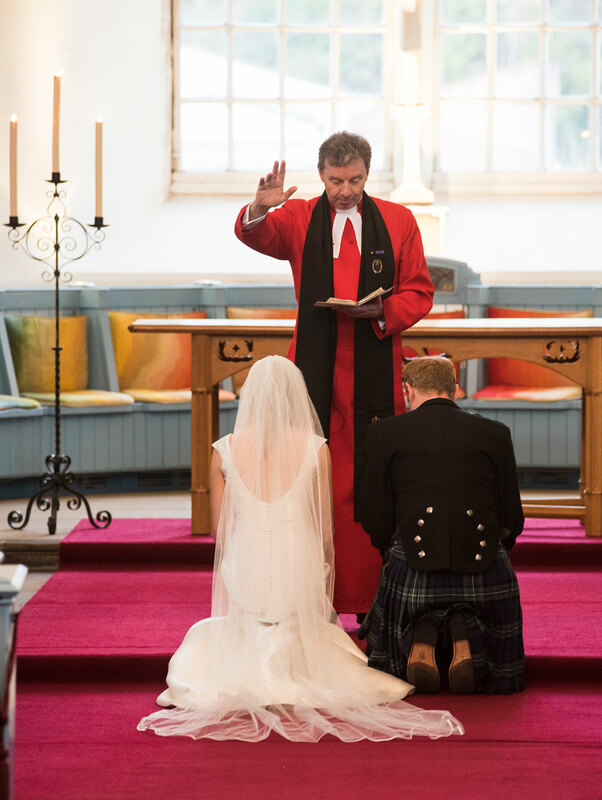 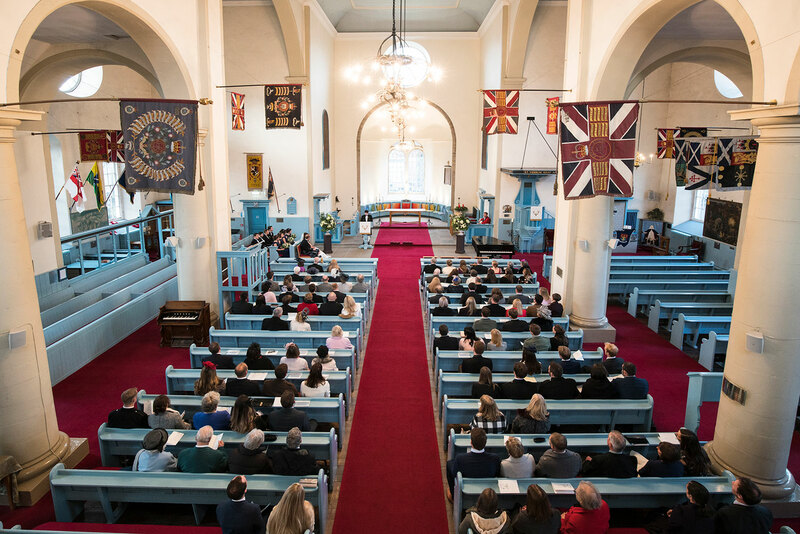 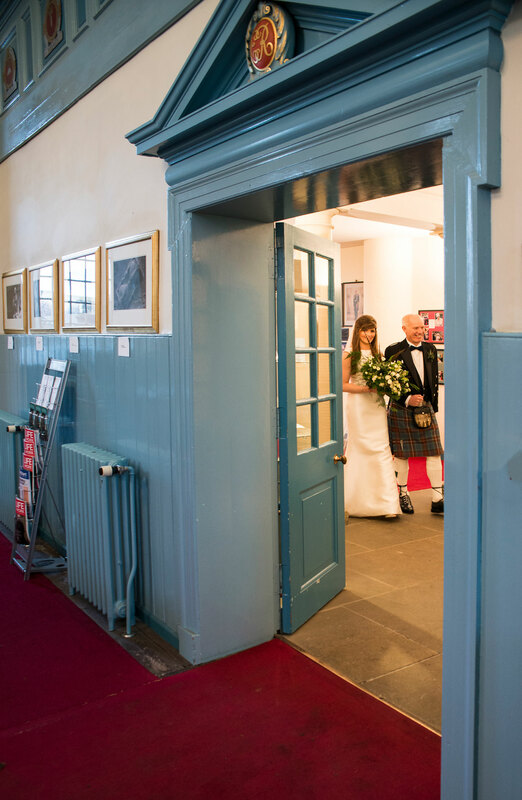 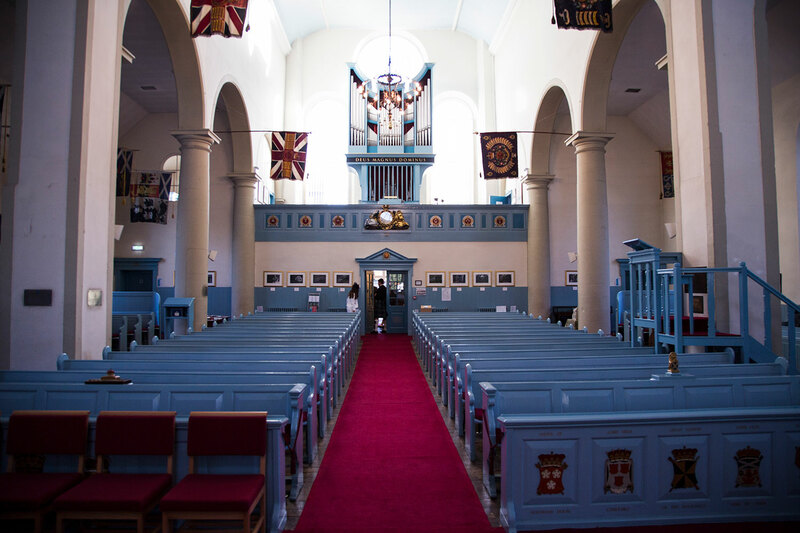 Guests arriving at Canongate Kirk. 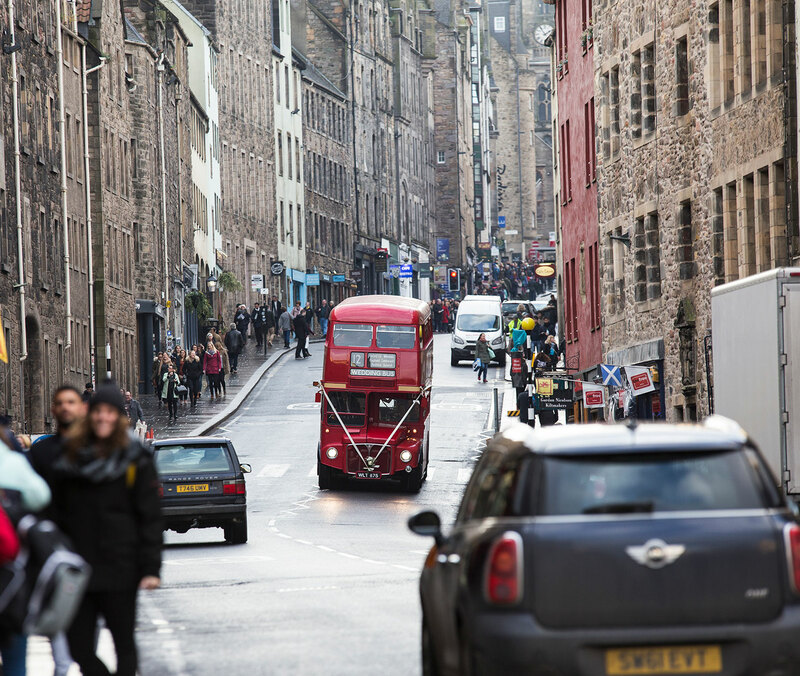 Just love this view of Edinburgh's Royal Mile with a vintage bus in it!